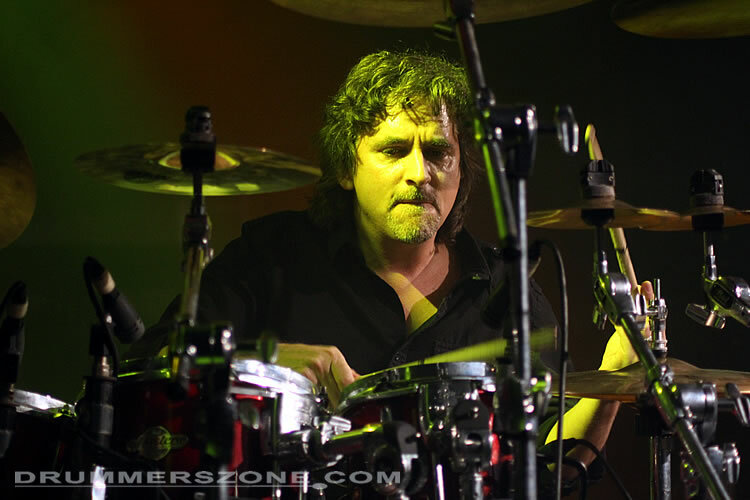 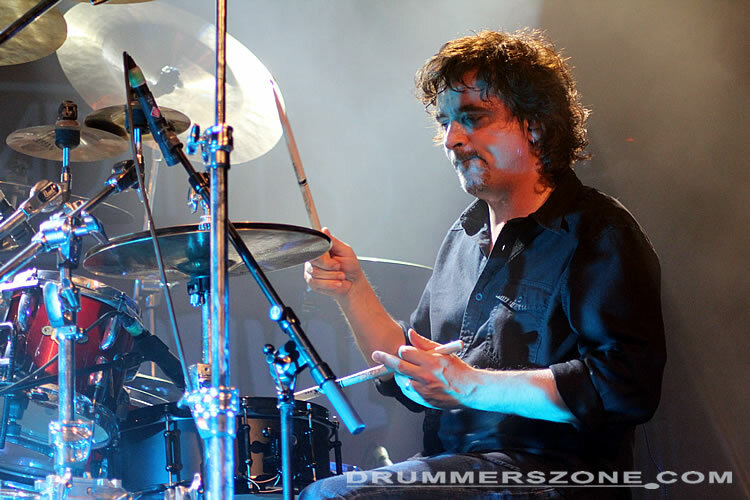 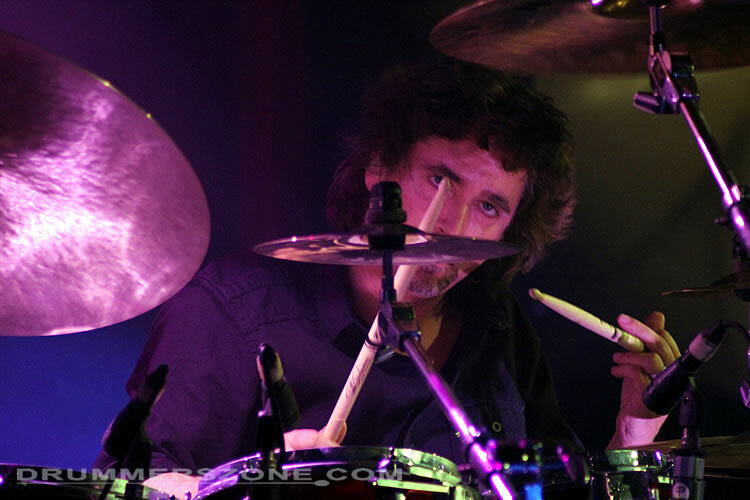 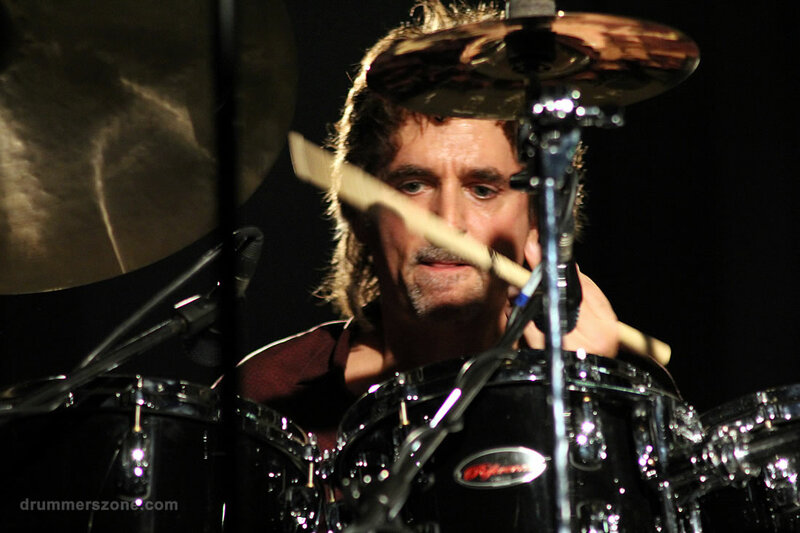 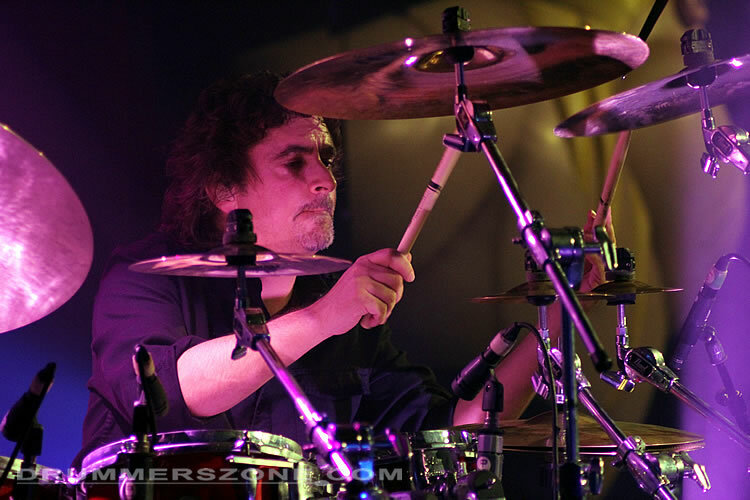 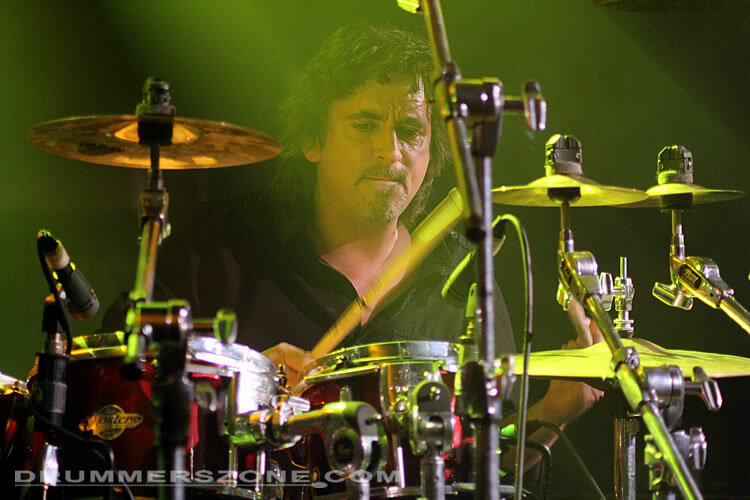 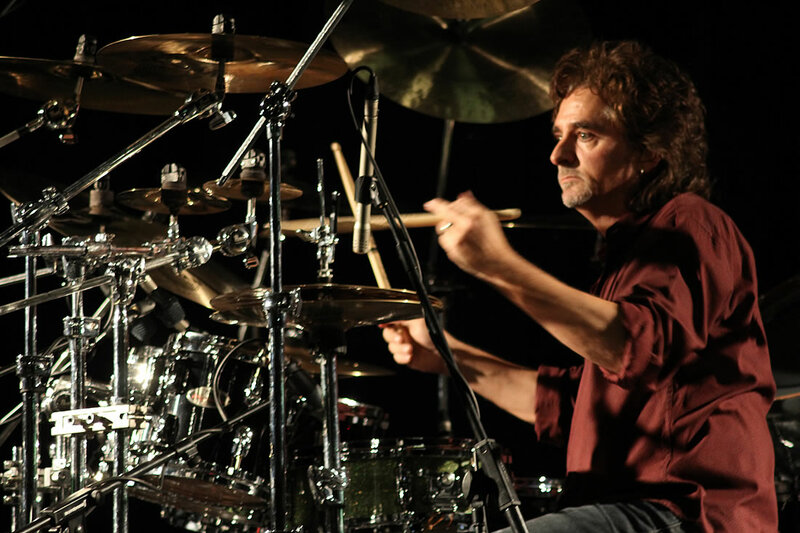 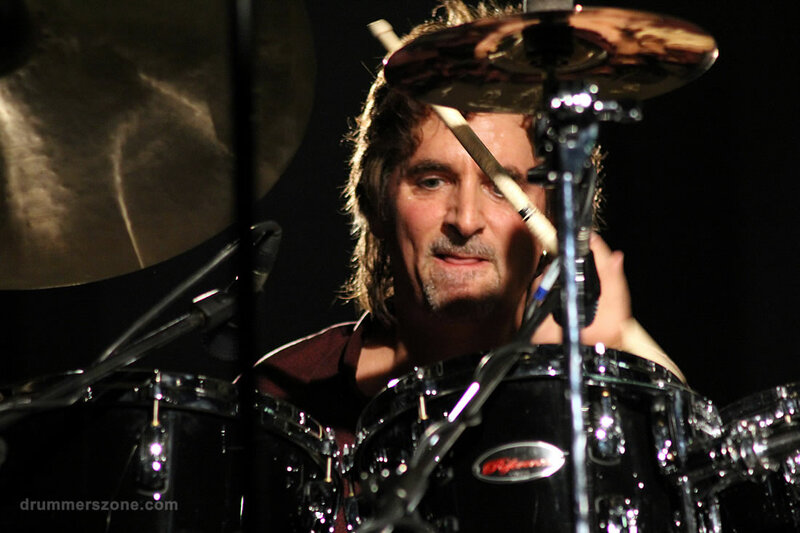 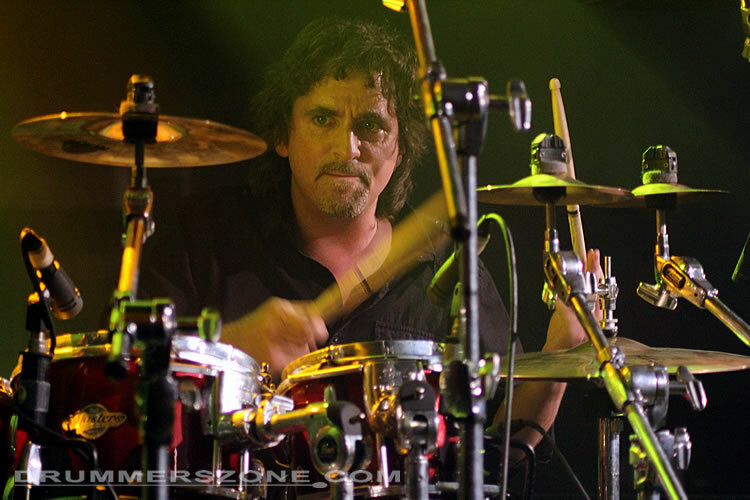 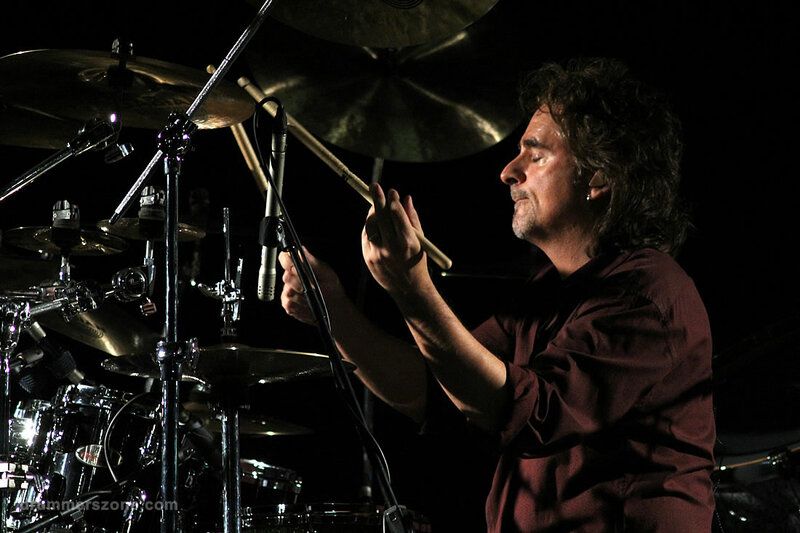 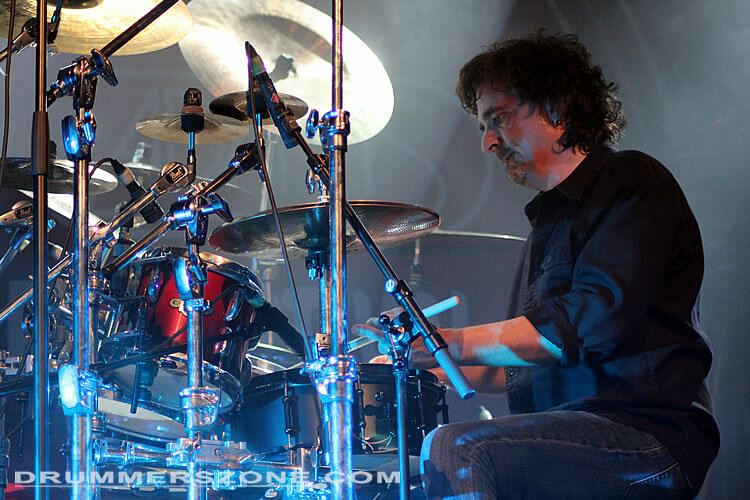 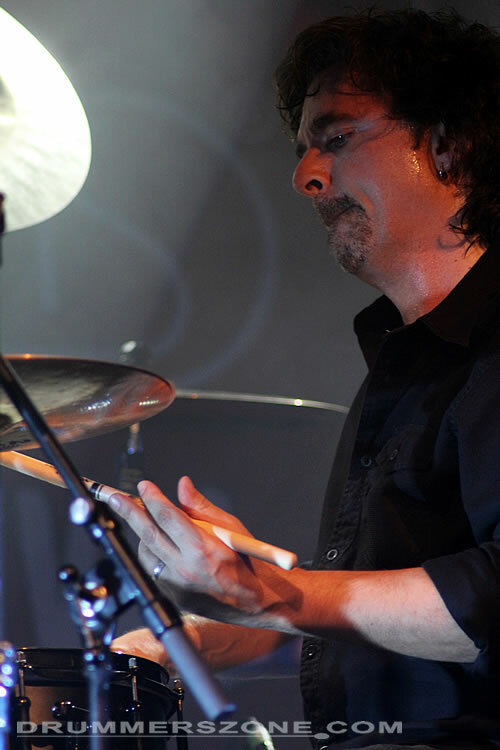 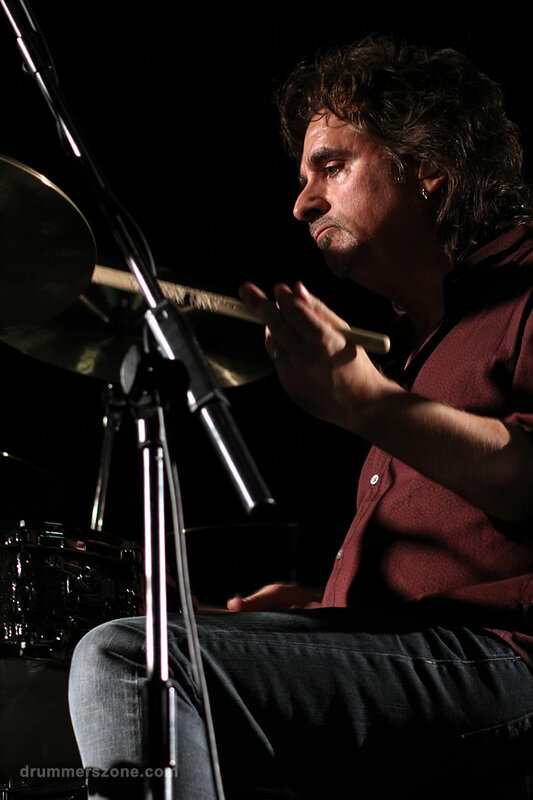 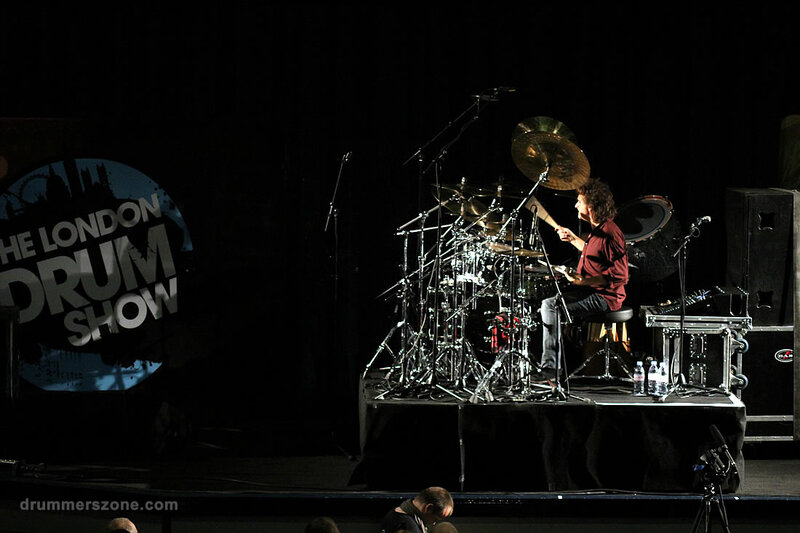 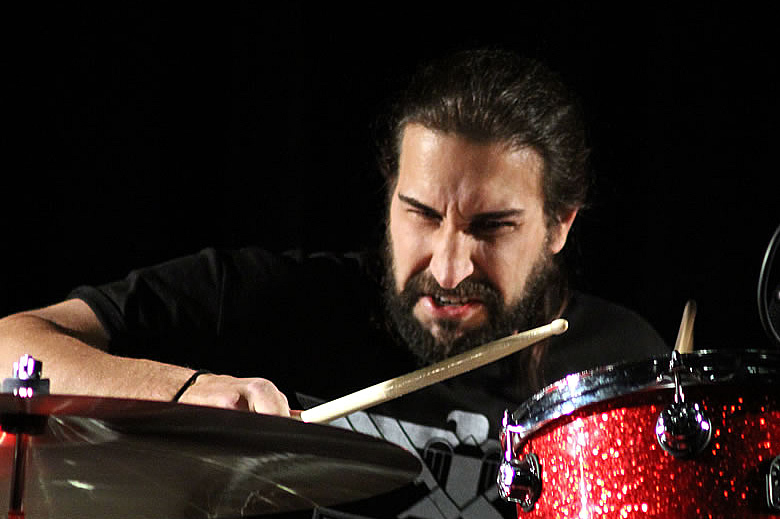 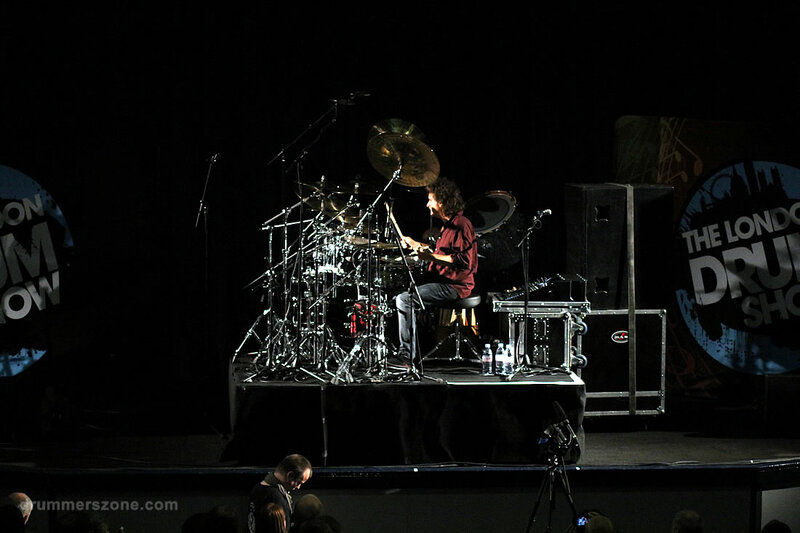 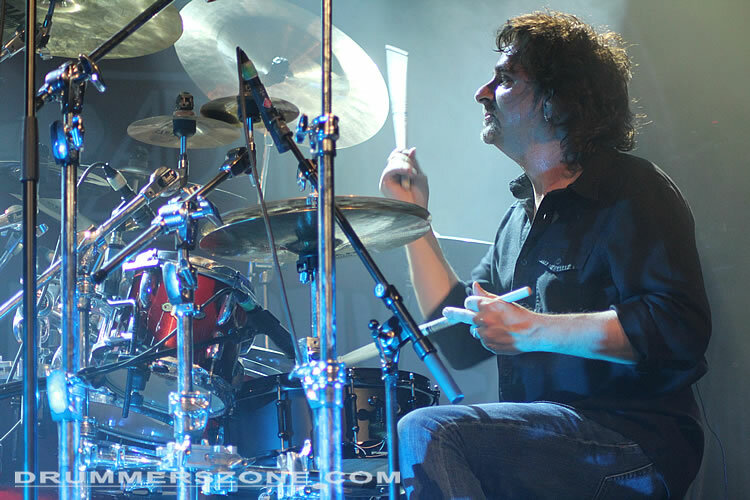 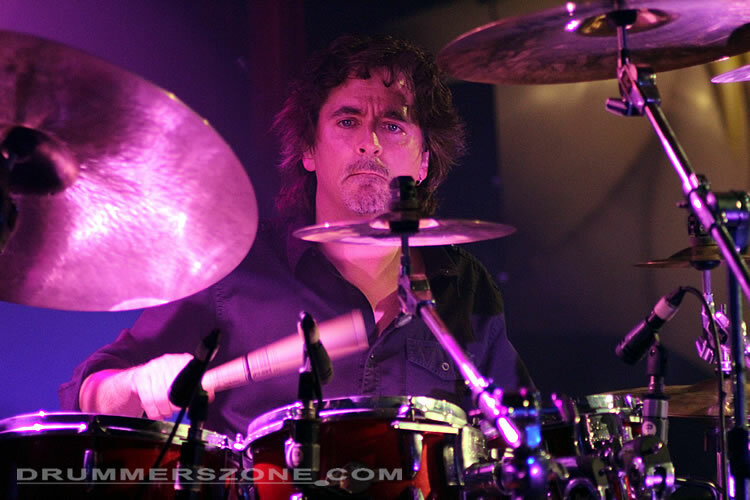 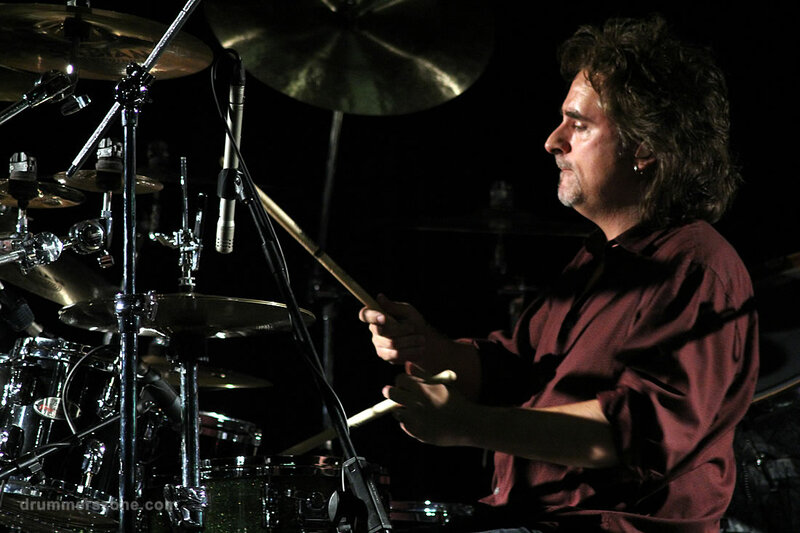 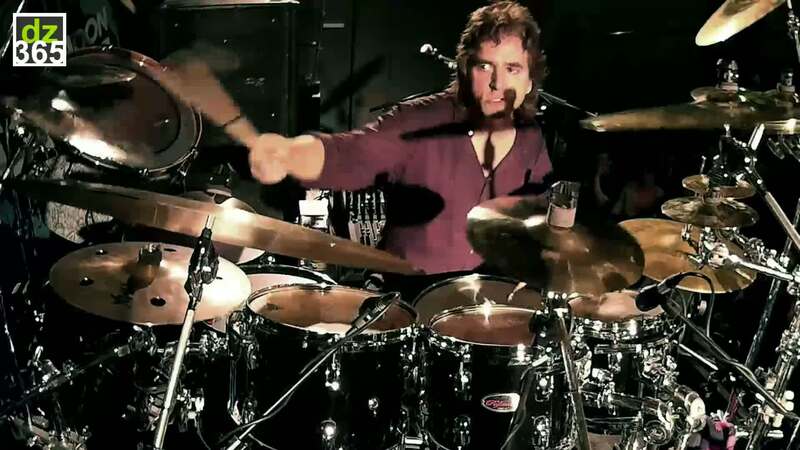 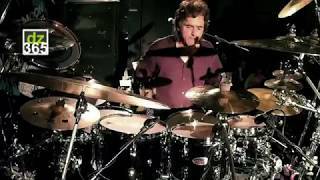 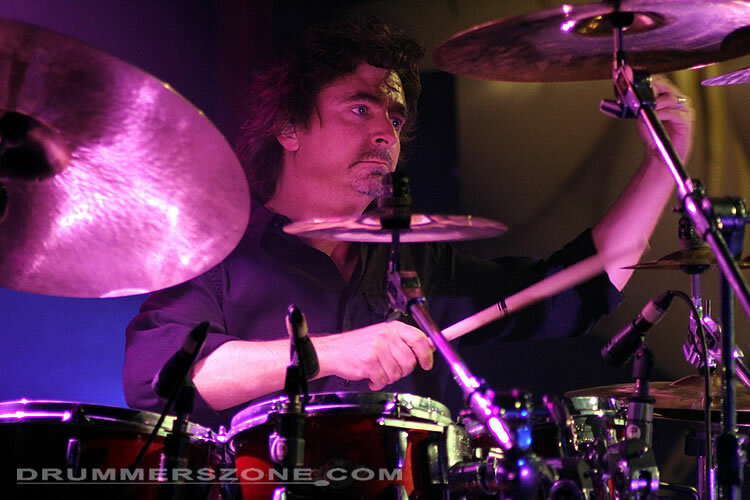 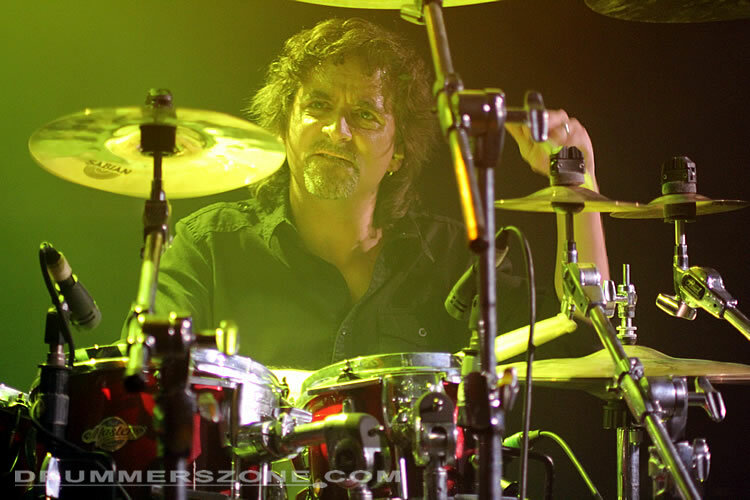 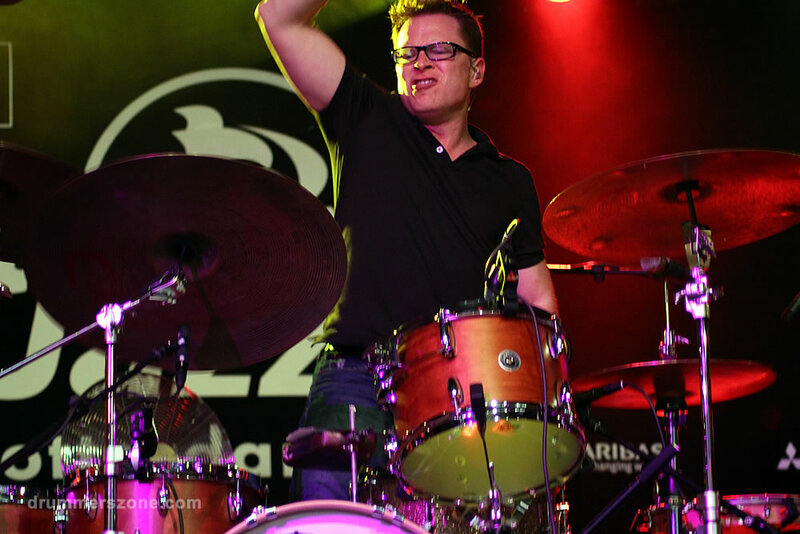 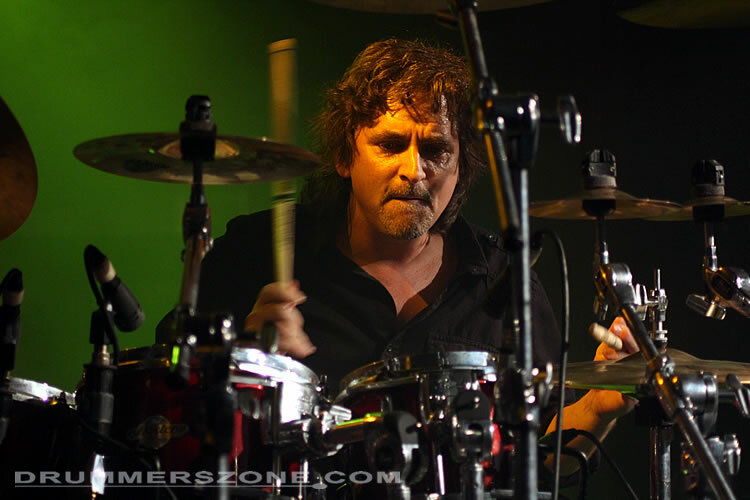 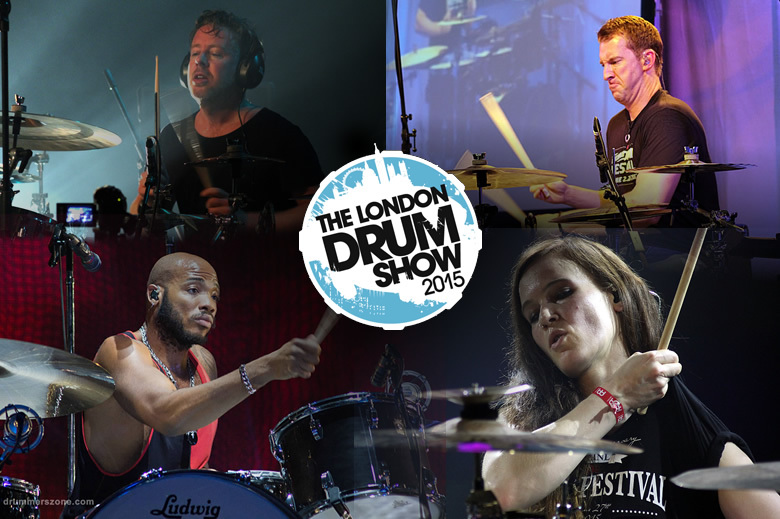 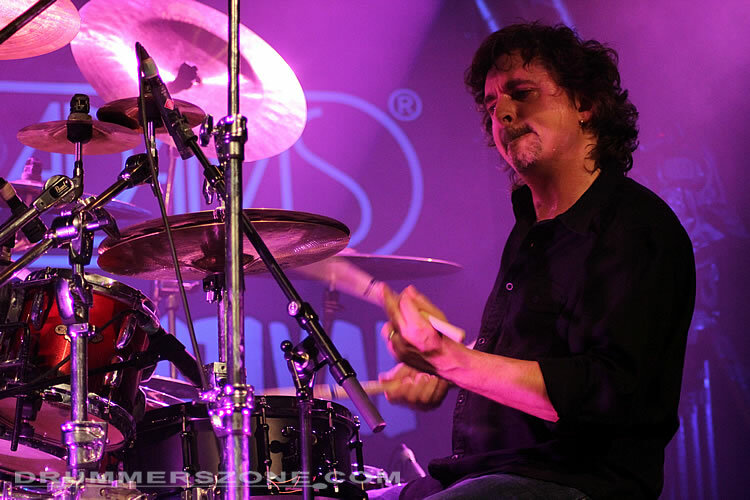 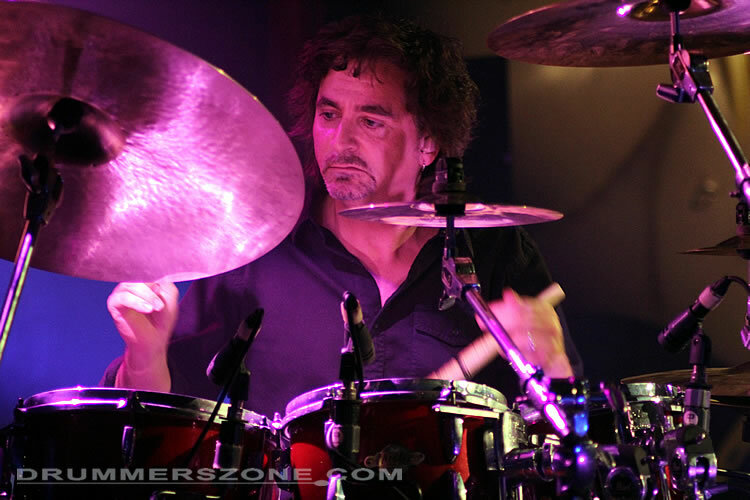 Todd Sucherman performed at the first day of the London Drum Show 2014. 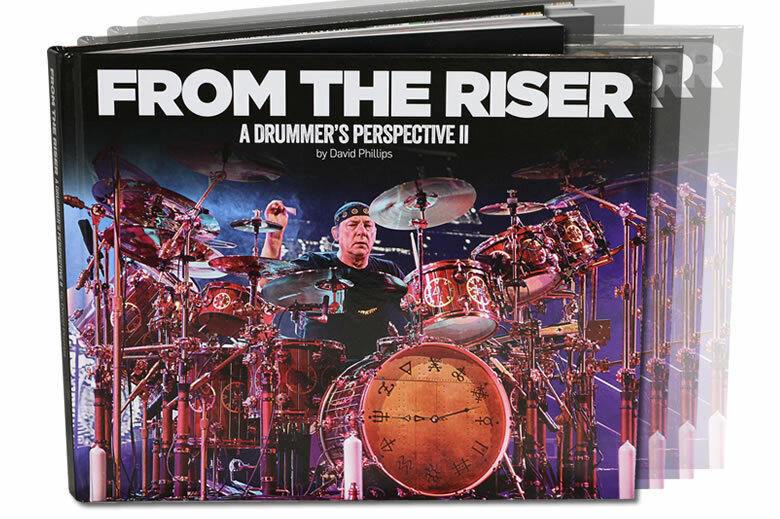 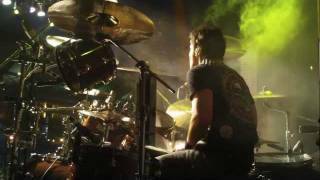 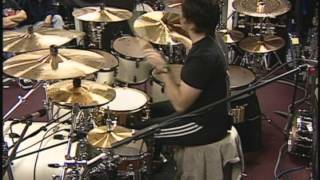 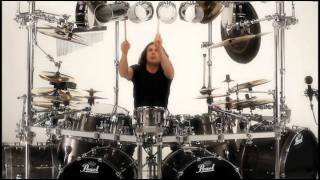 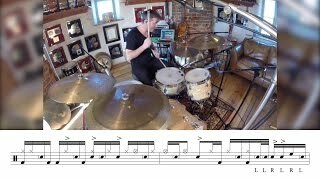 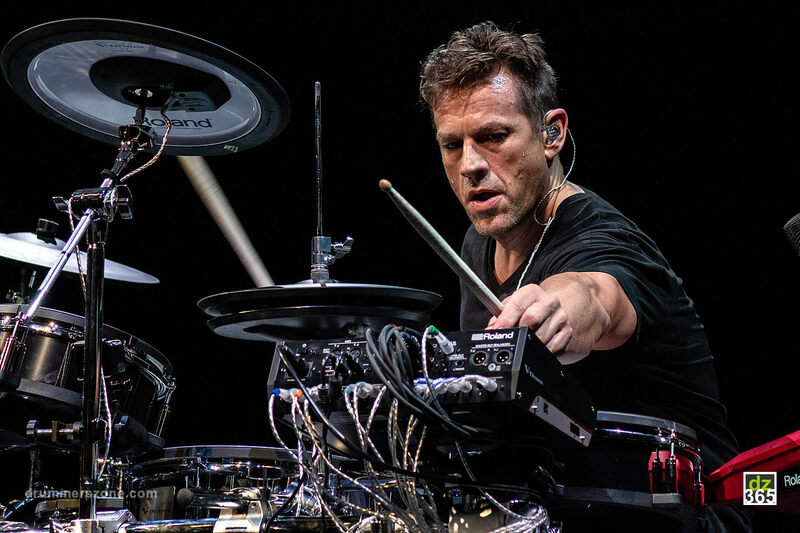 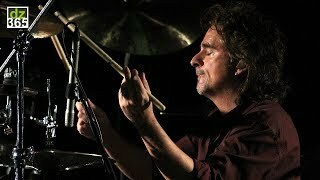 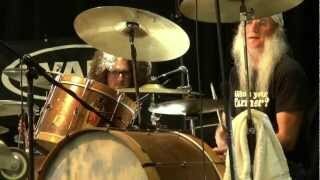 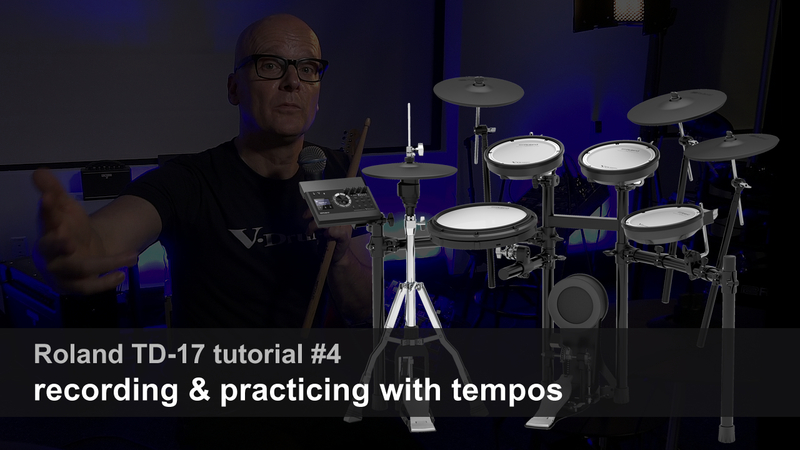 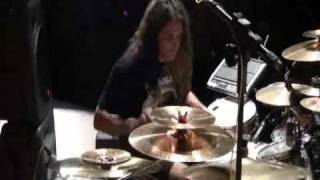 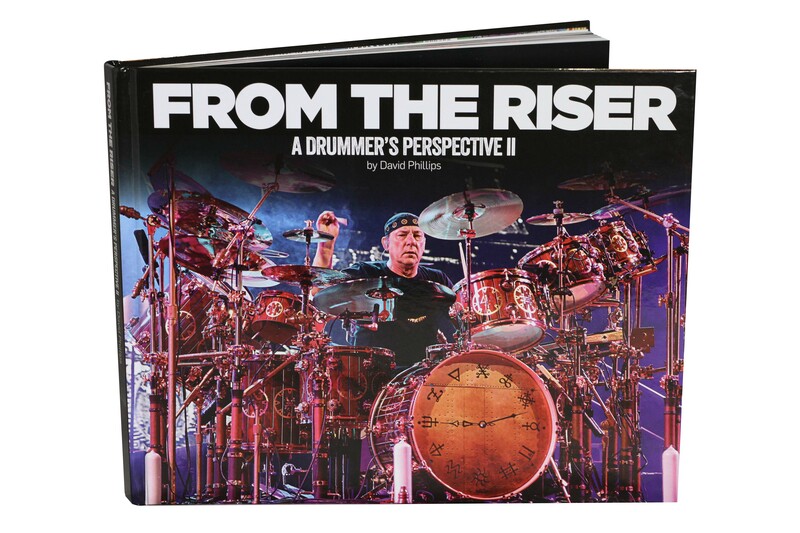 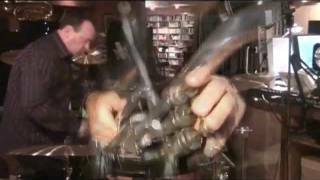 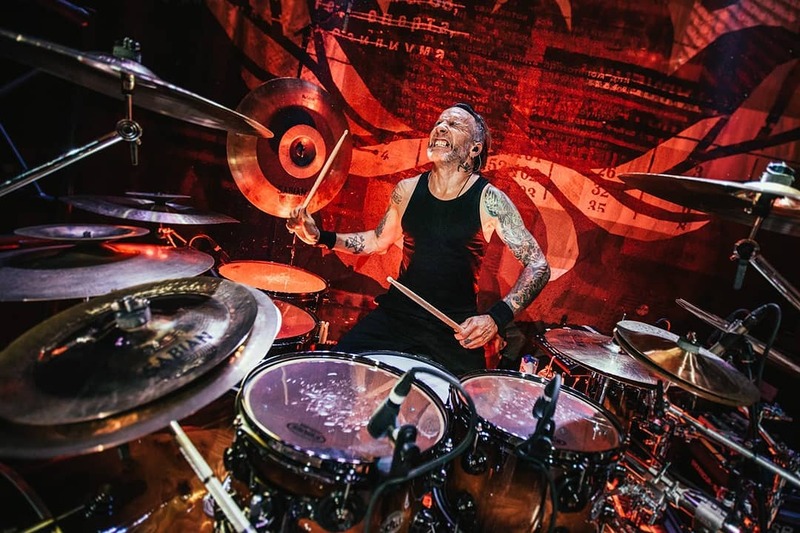 An amazing clinic and here are 15 minutes of his insane drum solo in this video album. 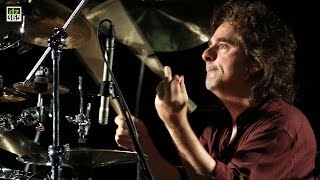 This is the man with such tight grooves and technique that will make you drool when watching him perform. 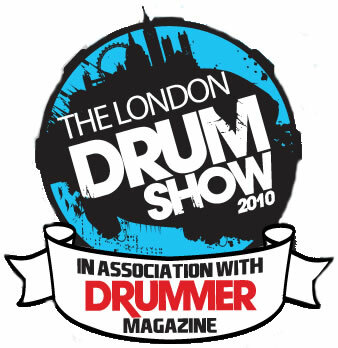 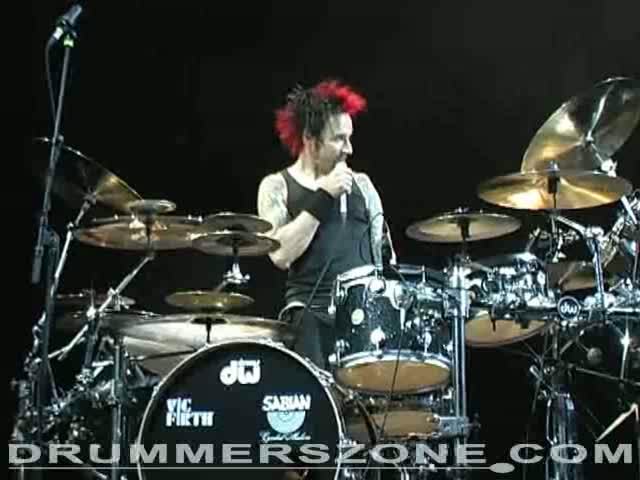 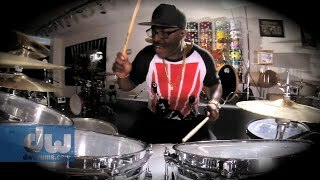 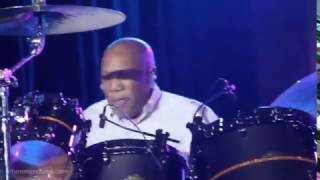 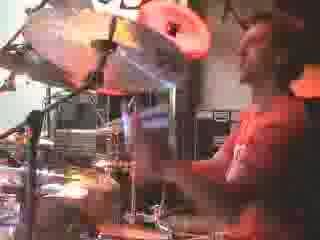 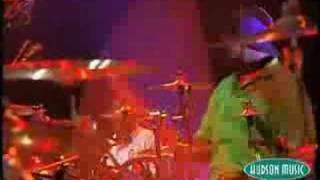 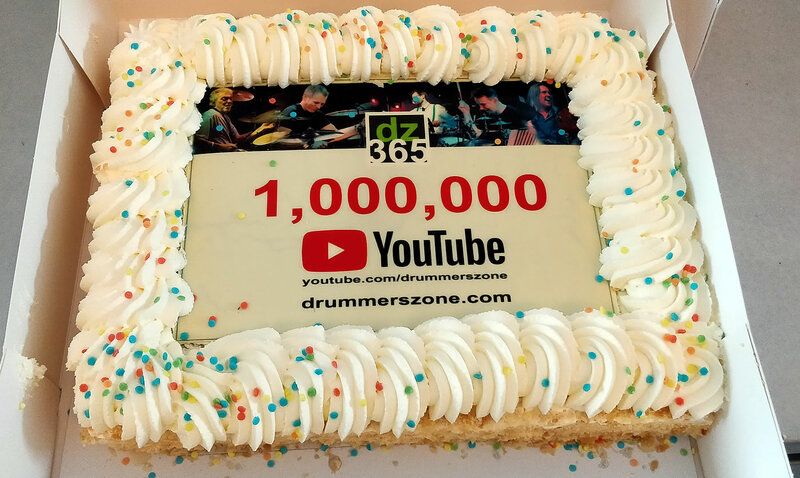 The videos of his performance at the London Drum Show proof it all. 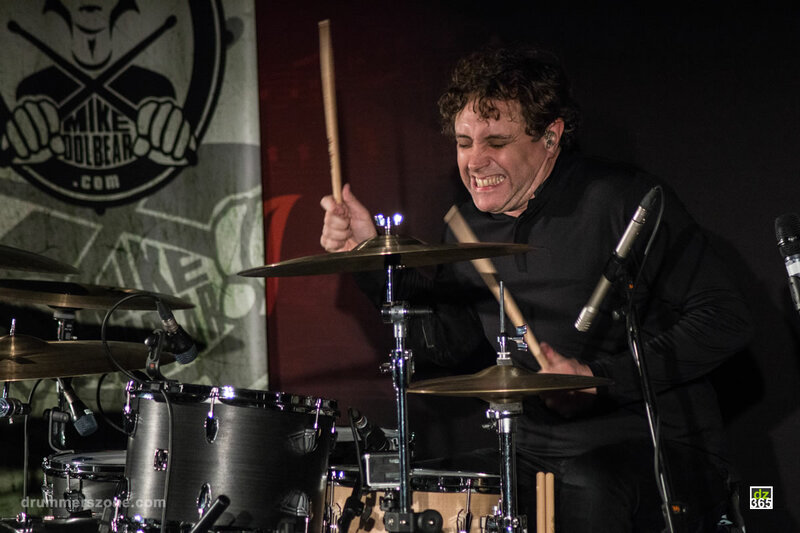 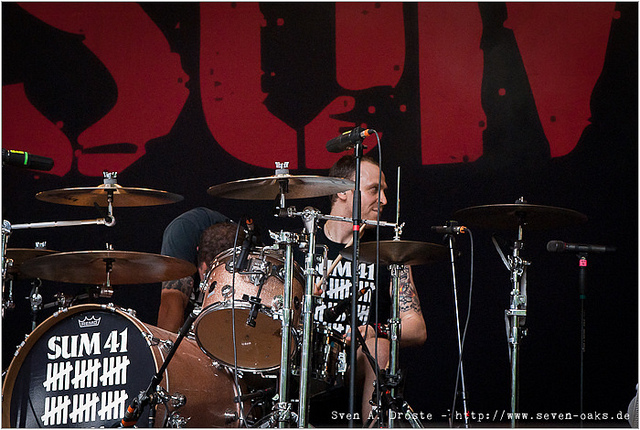 Todd Sucherman seems relentless when behind the drums. 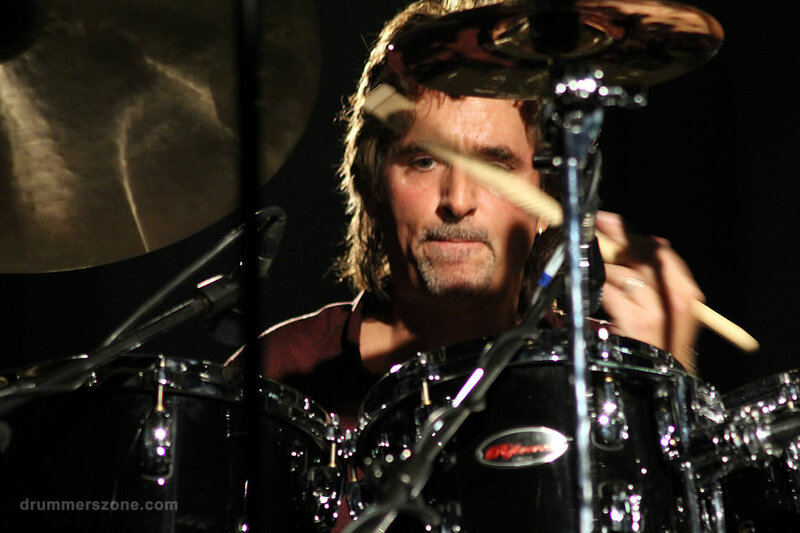 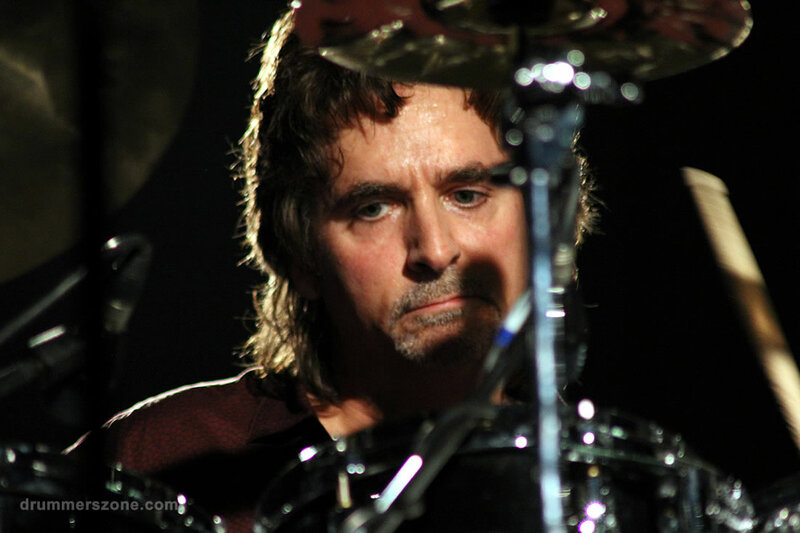 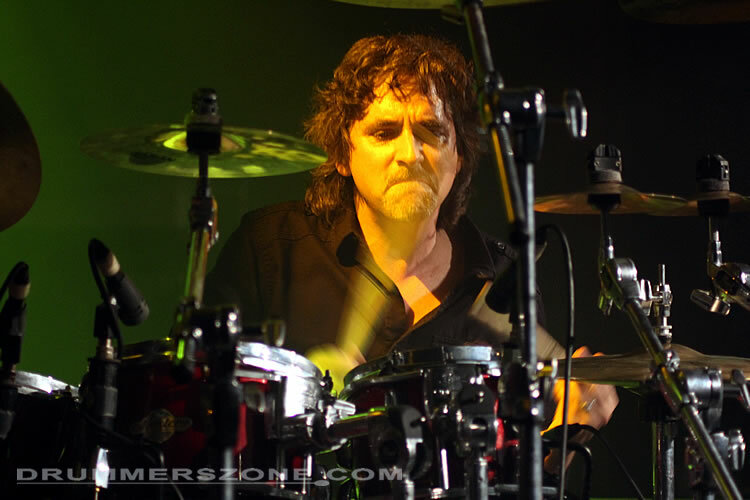 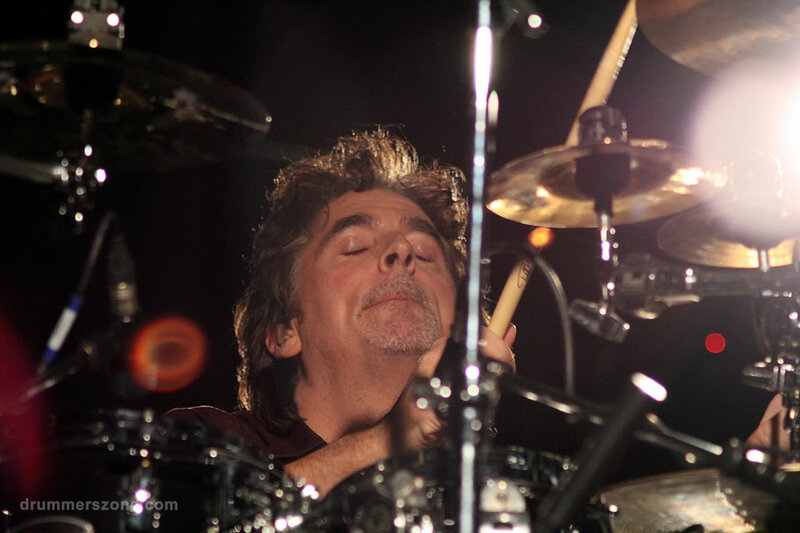 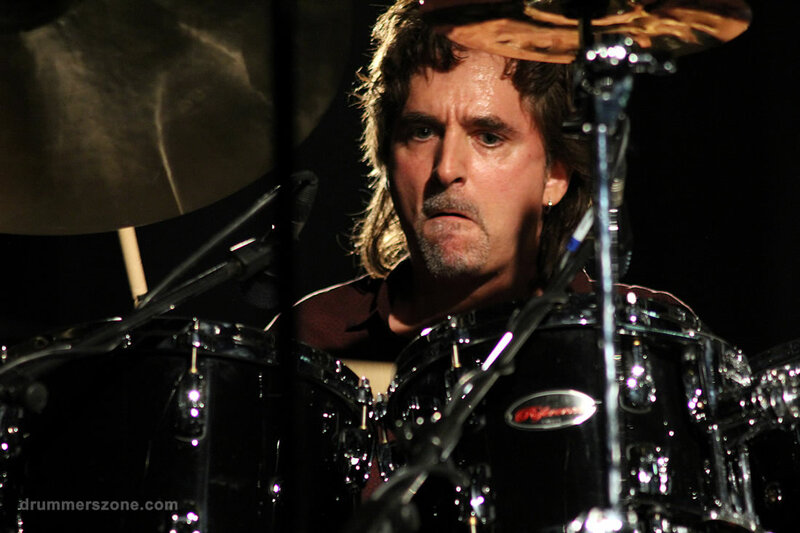 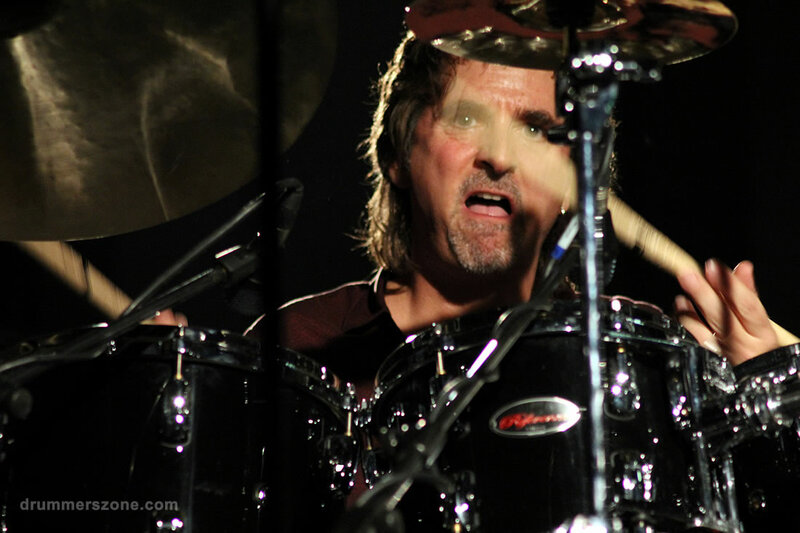 The STYX-drummer is one of those guys that just doesn't get tired, loses focus, or breaks down even a little bit. 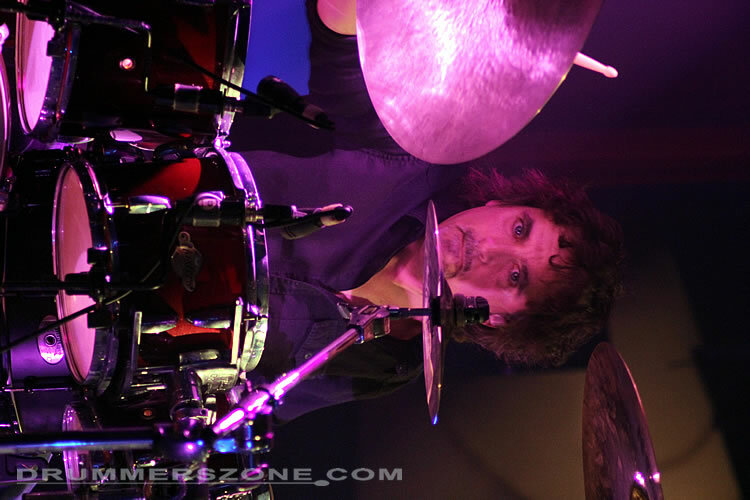 While he is on stage, the energy blows through the room and finds you, if you are up for it or not. 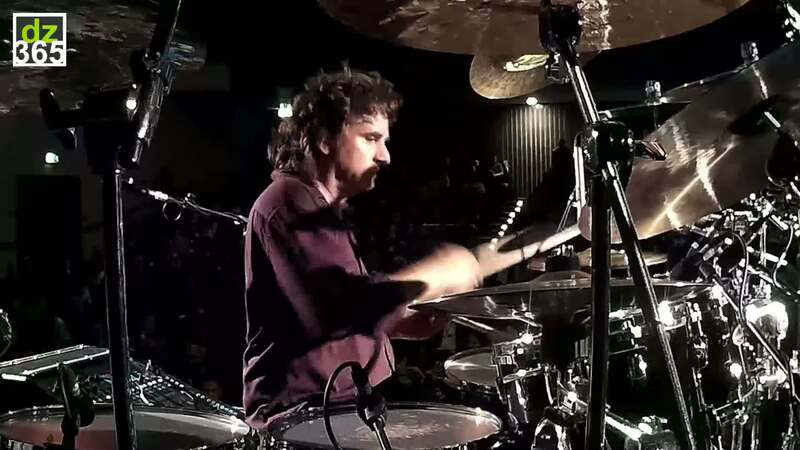 Todd Sucherman performing at the London Drum Show 2014. 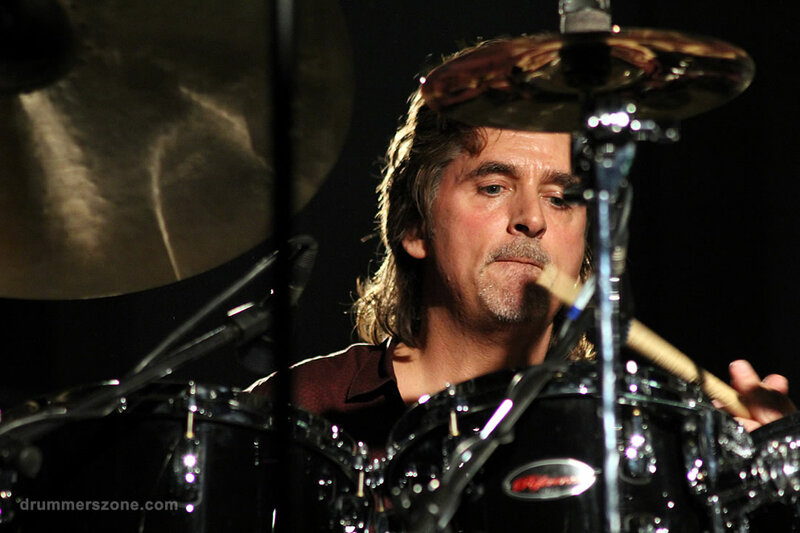 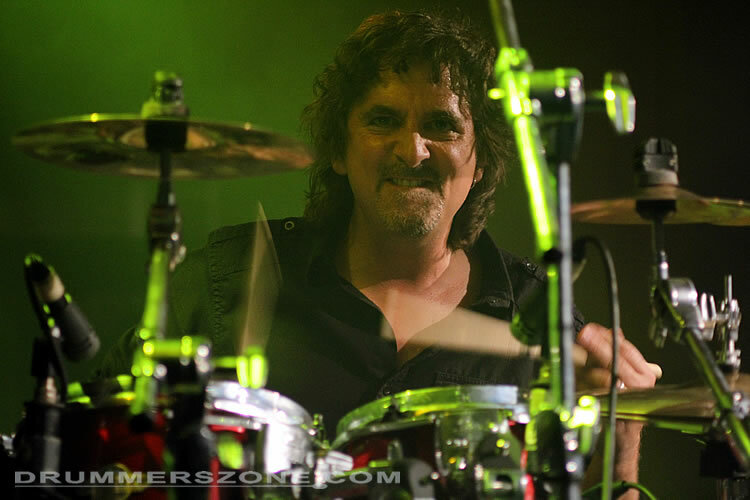 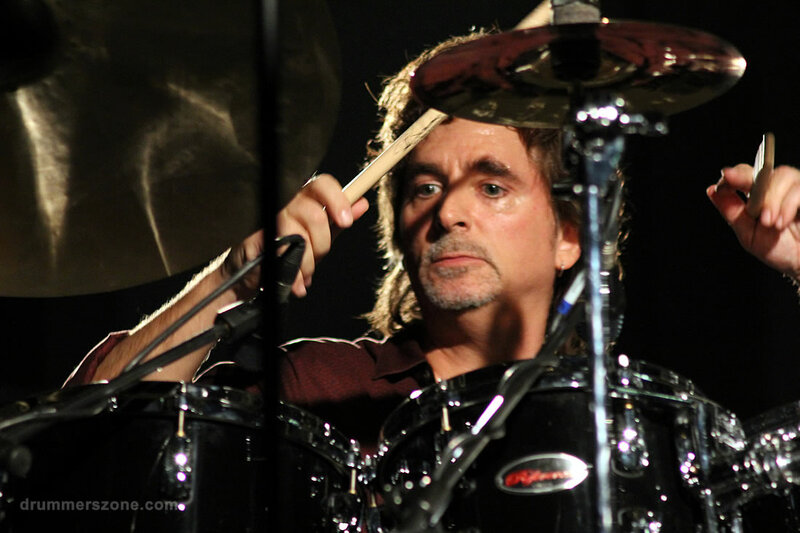 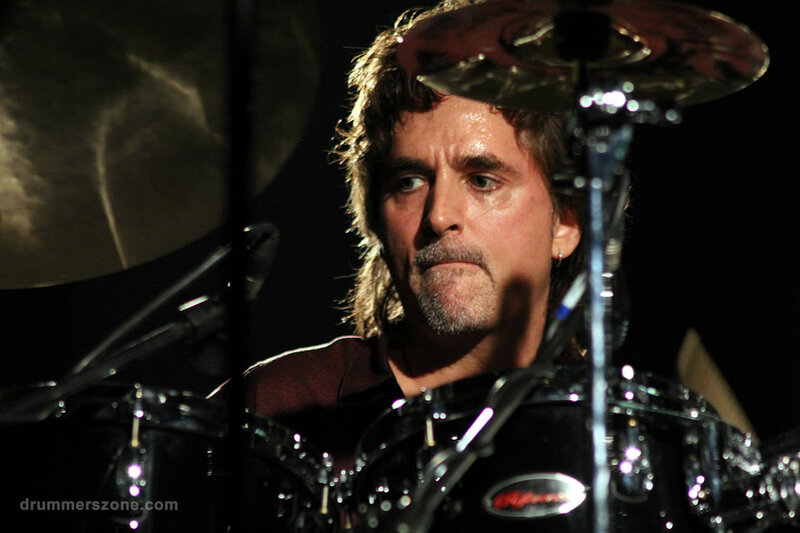 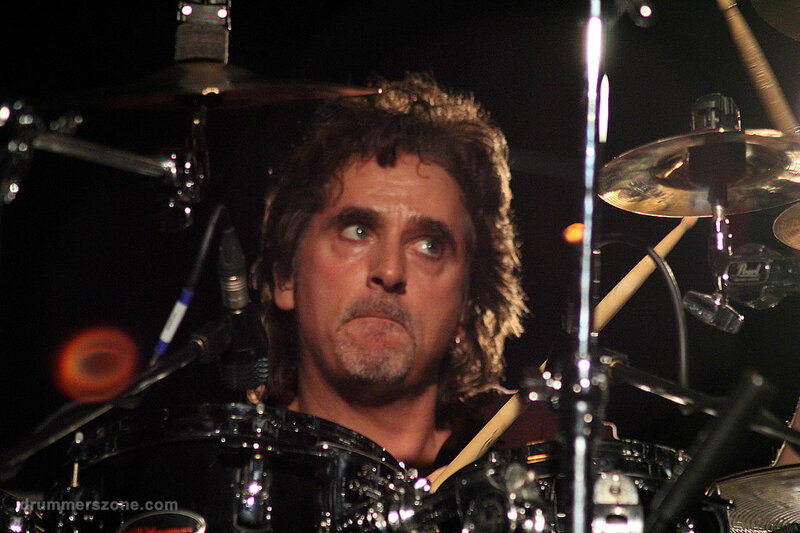 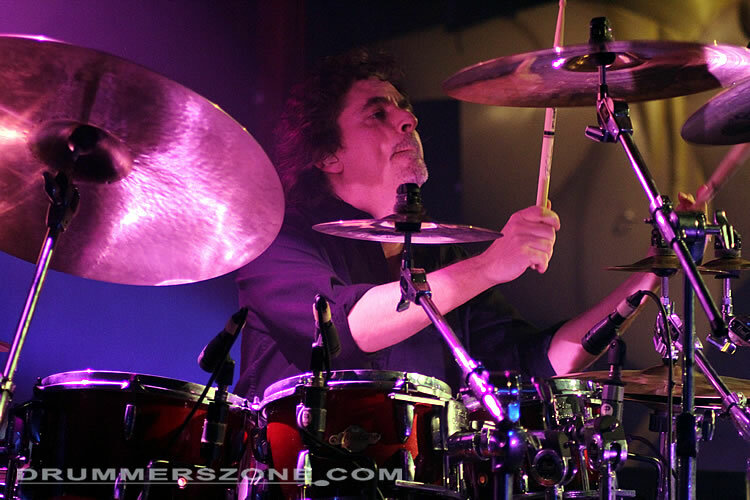 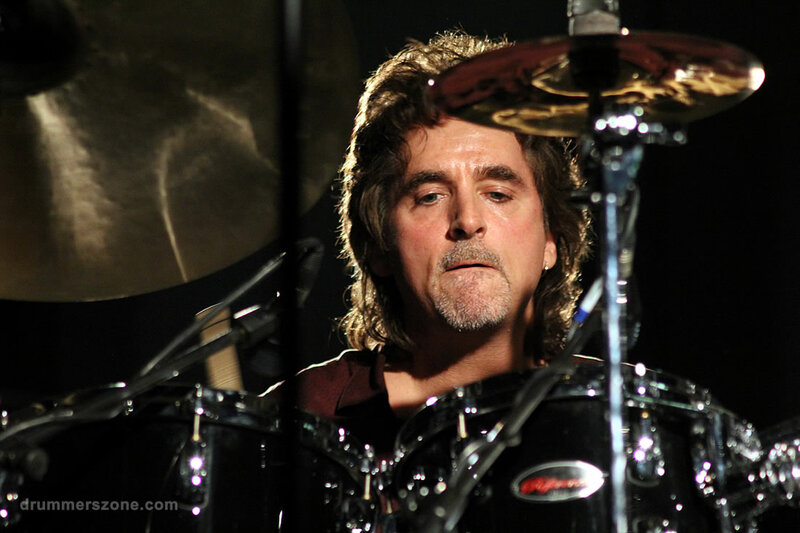 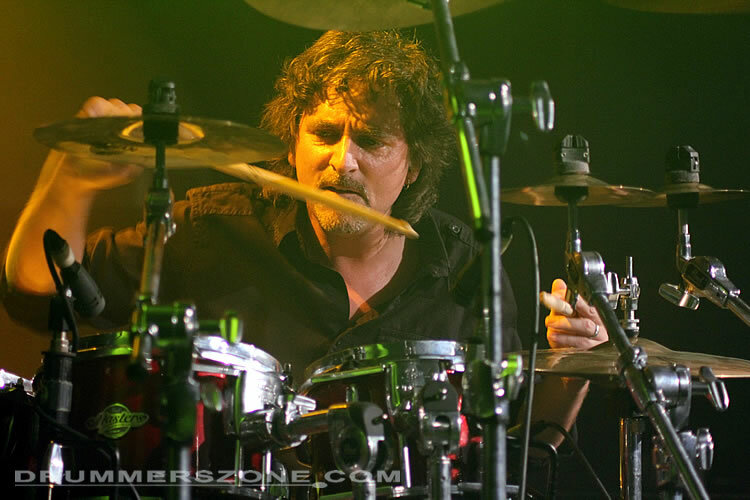 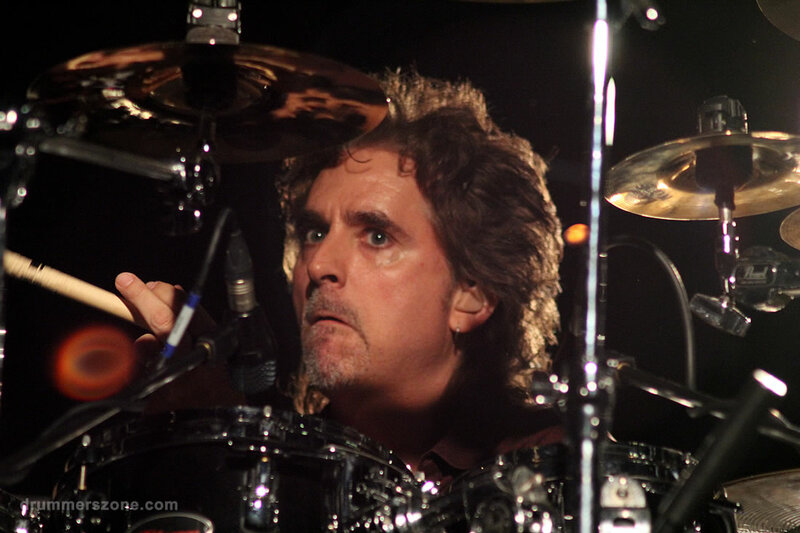 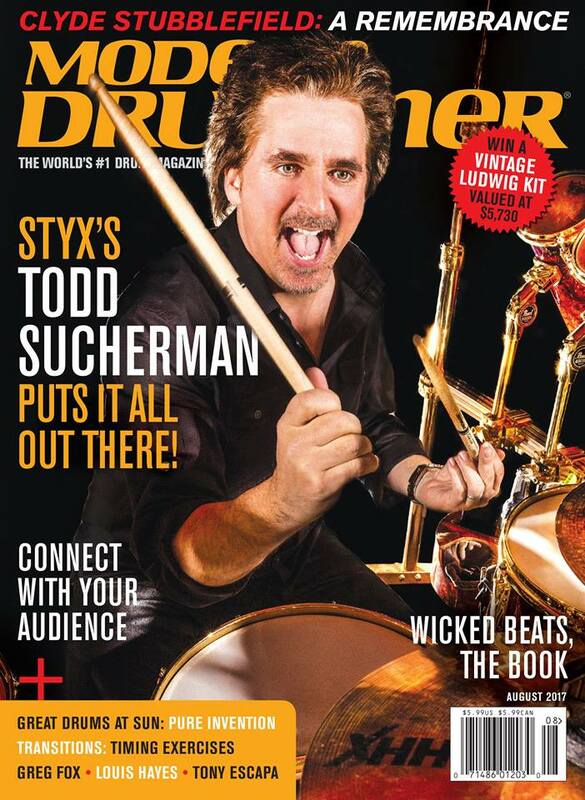 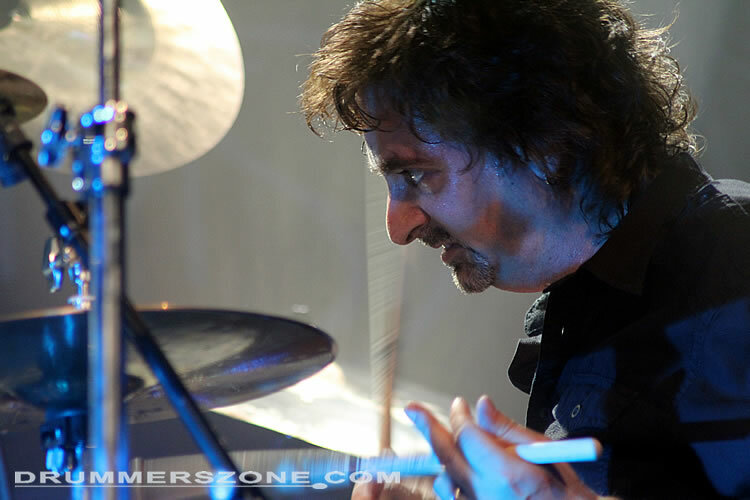 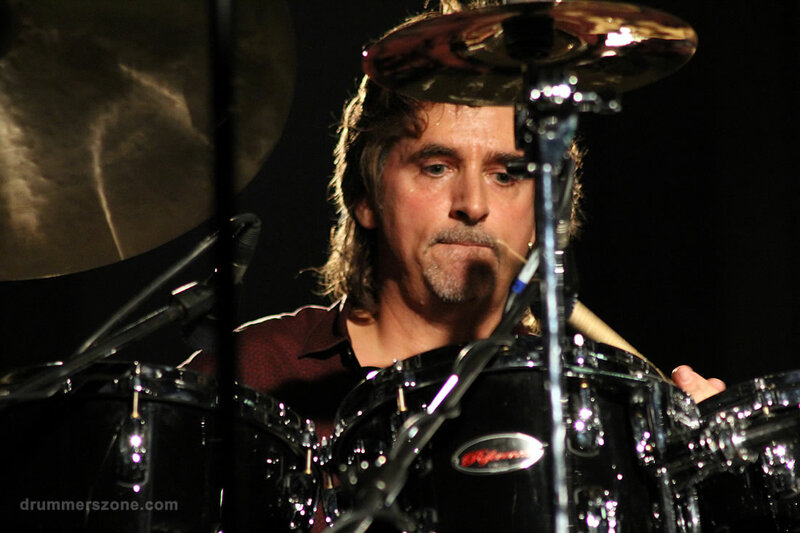 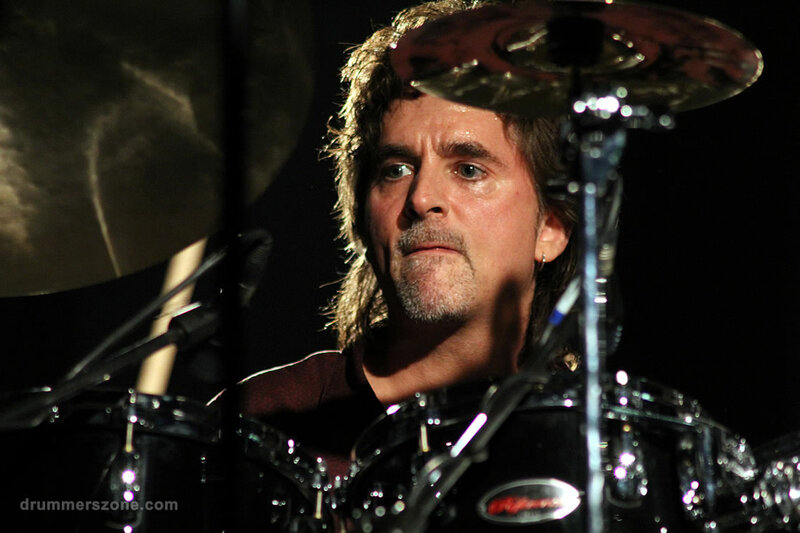 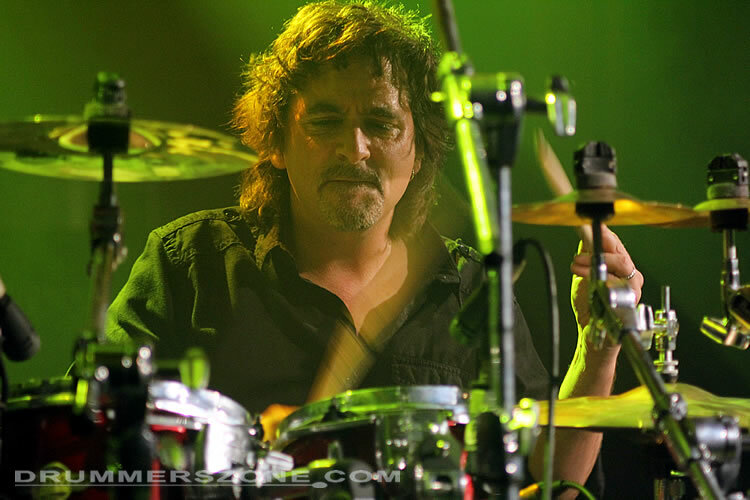 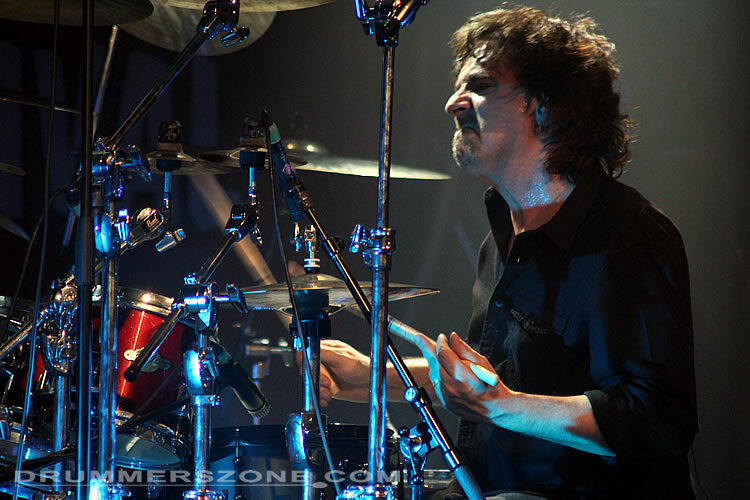 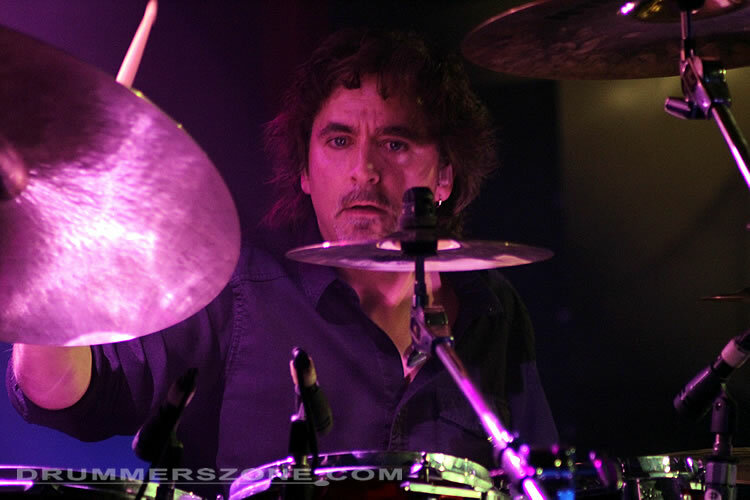 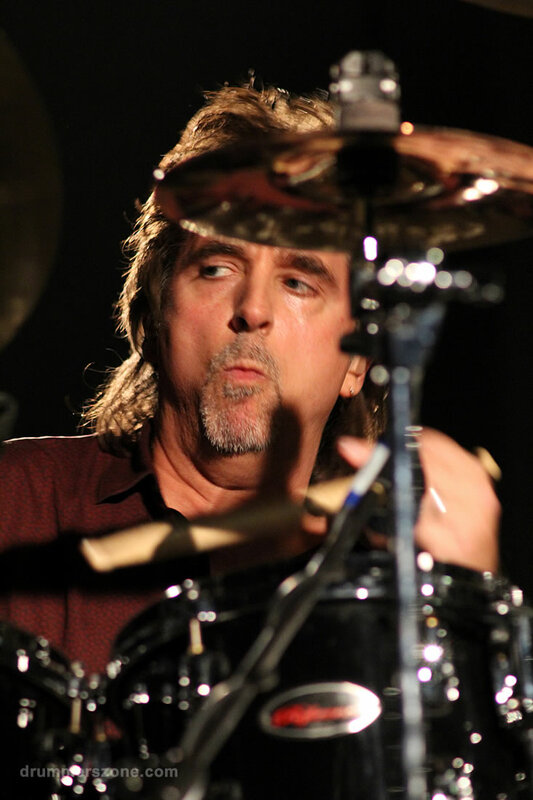 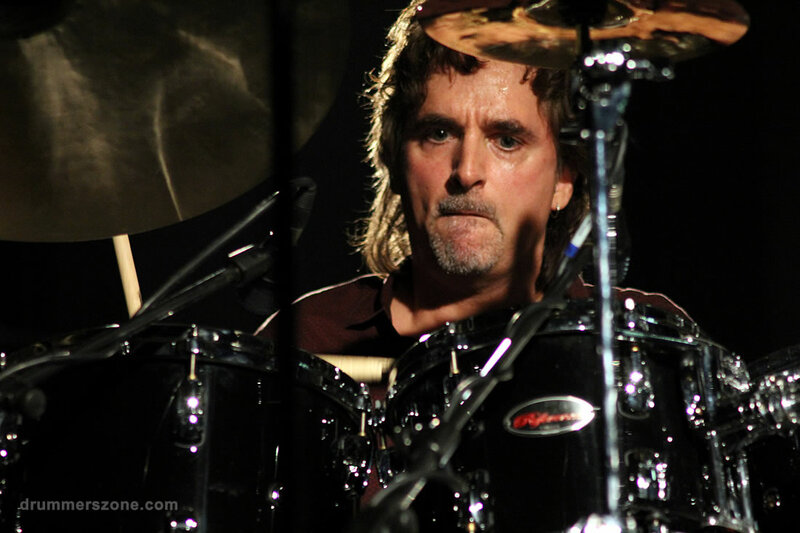 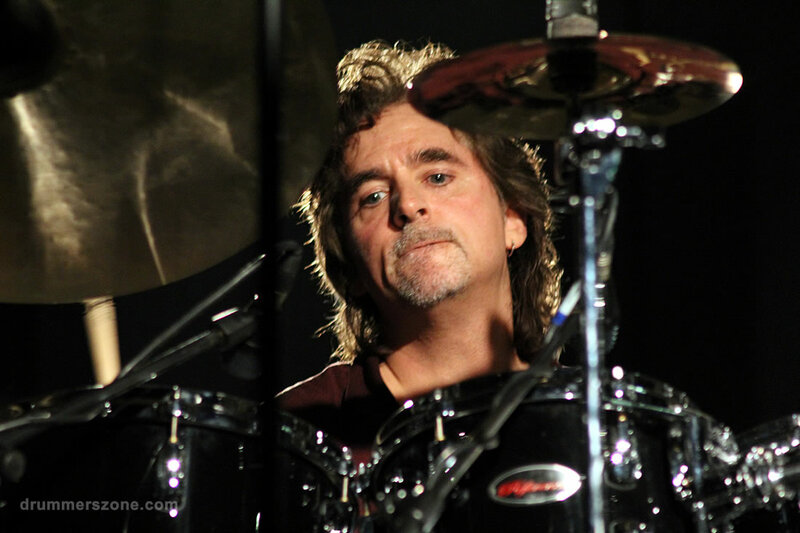 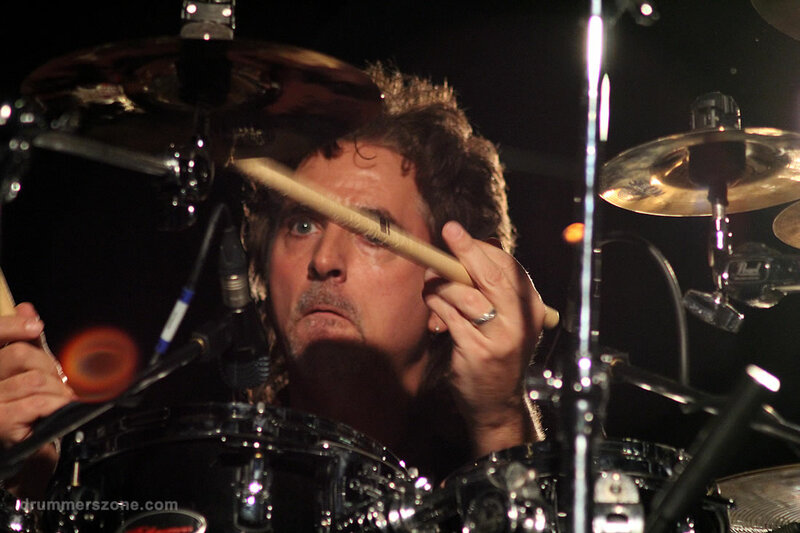 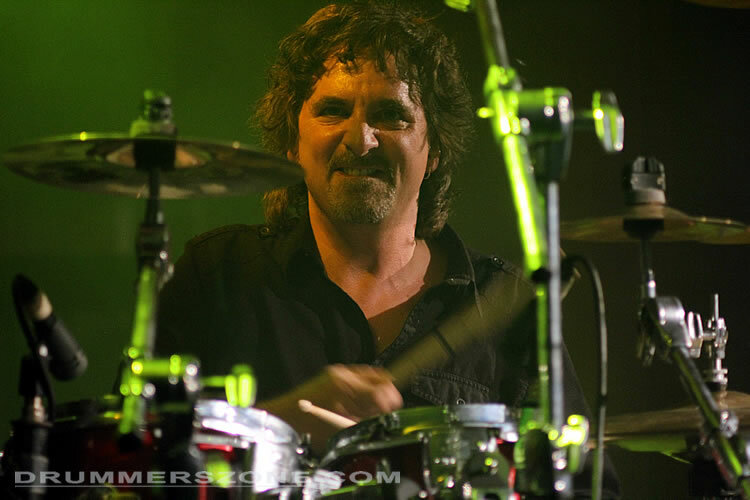 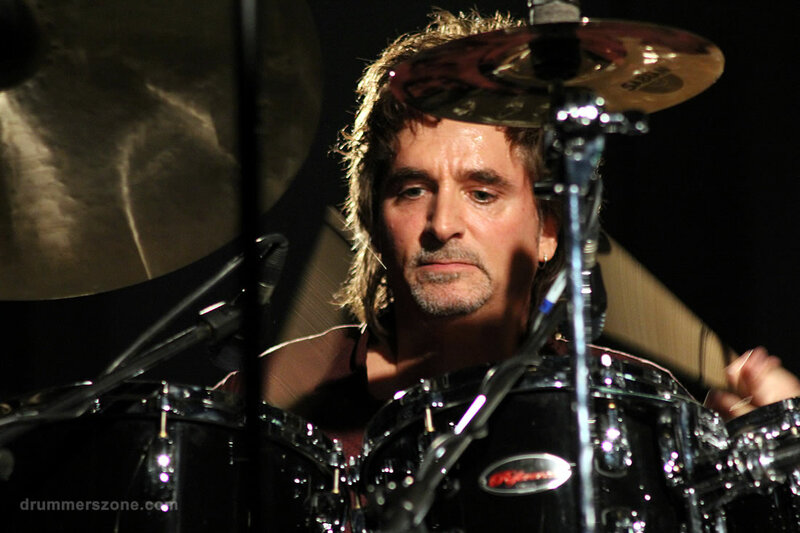 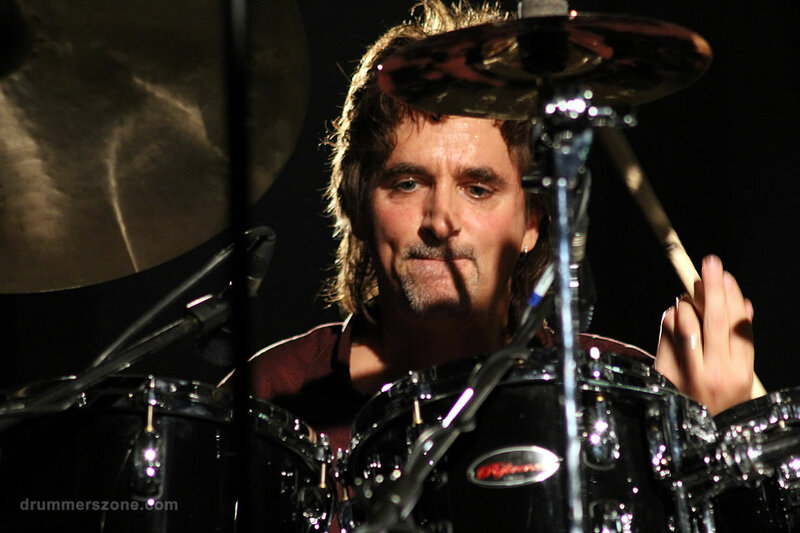 Todd Sucherman is currently drumming for rock group Styx. 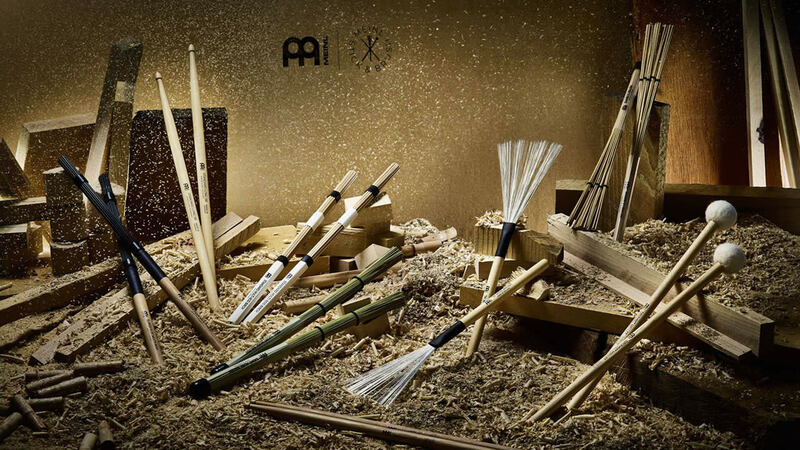 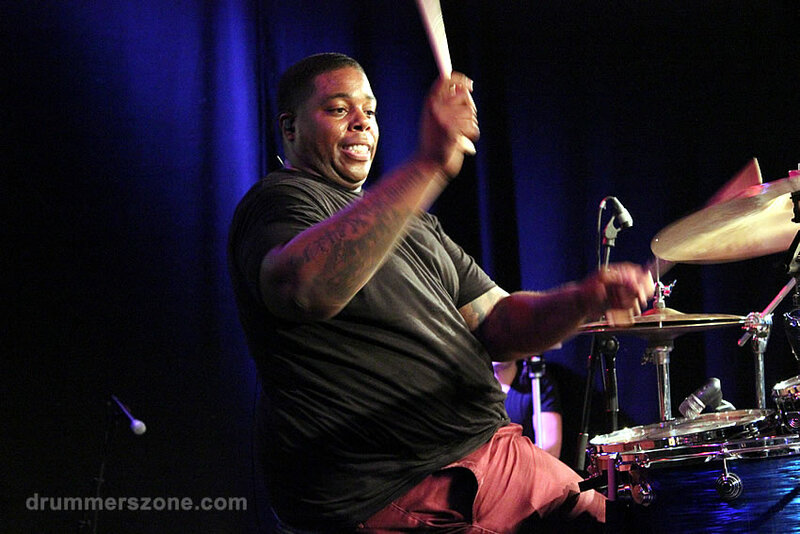 He grew up in a musical family and followed in his father's footsteps by playing the drums. 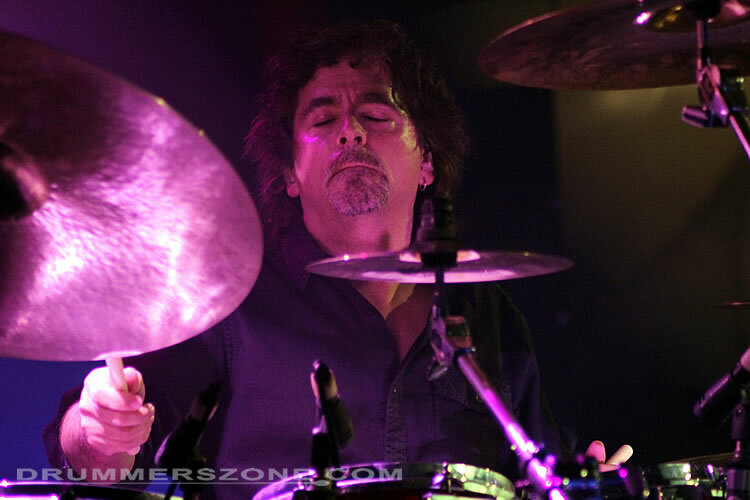 Todd's father, Arnold J. Sucherman, was a doctor by day and a drummer by night, playing in the house band at the famed Chez Parre' in Chicago. 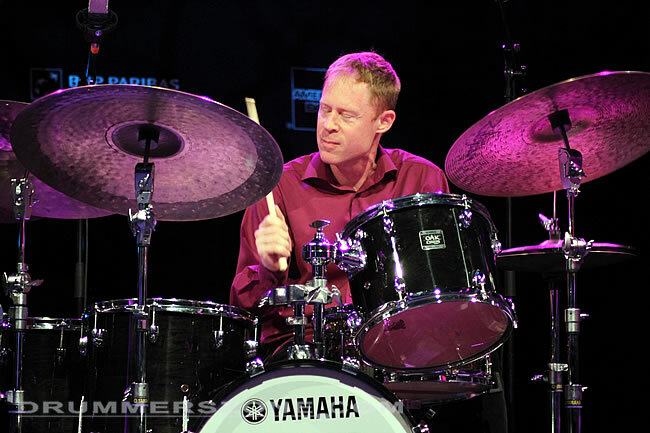 His father taught Todd to play and he could read music by age five. 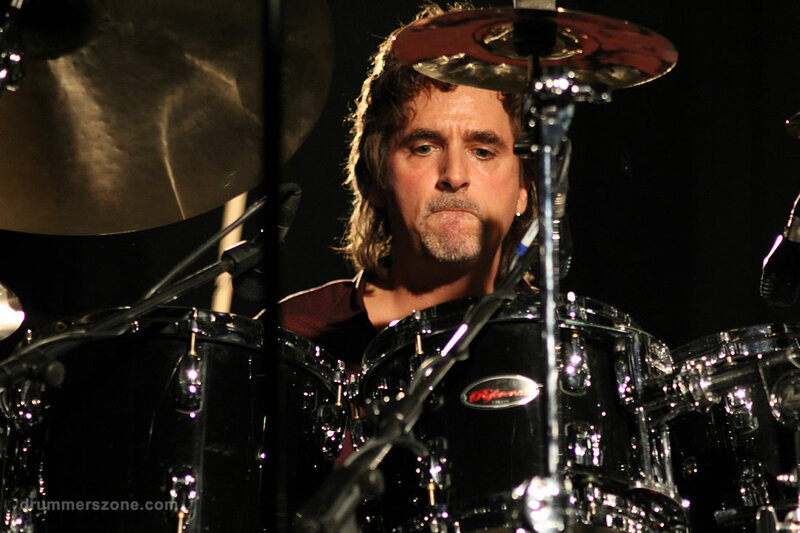 His first paying gig was with The Sucherman Brothers at age six. 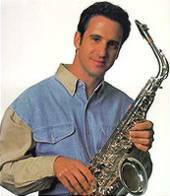 Todd Sucherman attended Niles West High School, and then the Berklee College of Music from September 1987 to May 1988. 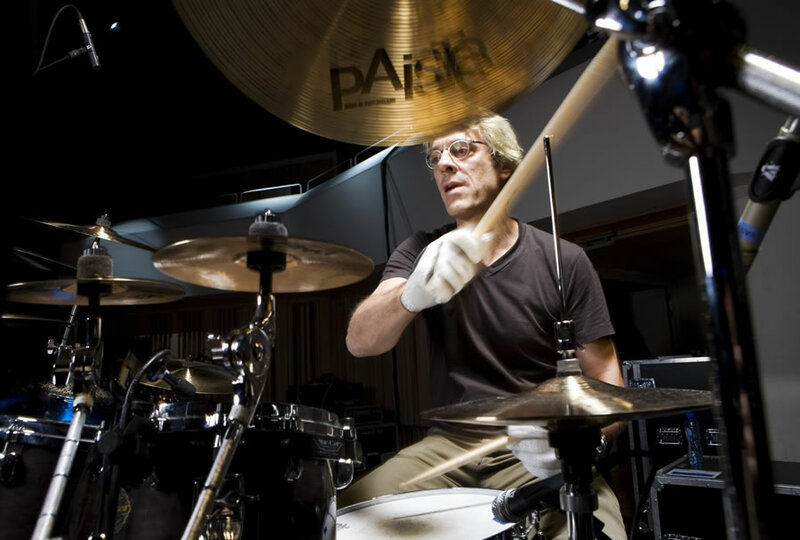 There he studied with Skip Hadden, Ian Froman and Gary Chaffee. 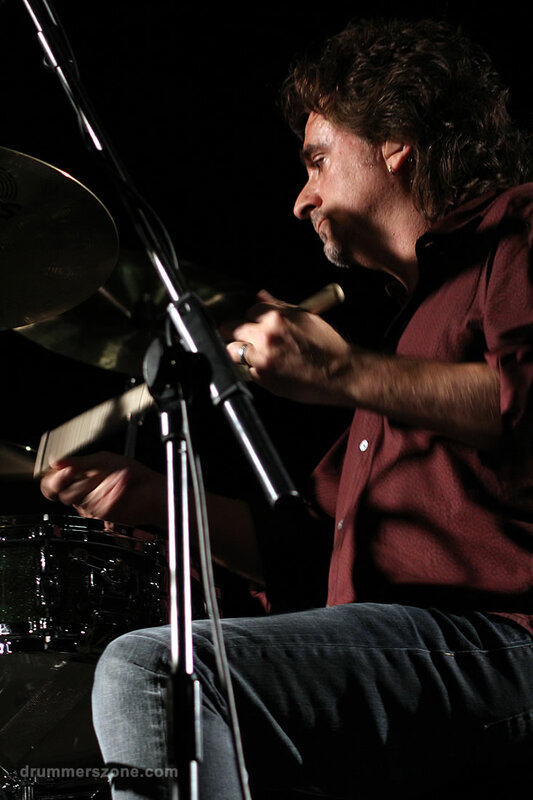 In 1988, Todd Sucherman returned to Chicago and quickly established himself as a noted session musician. 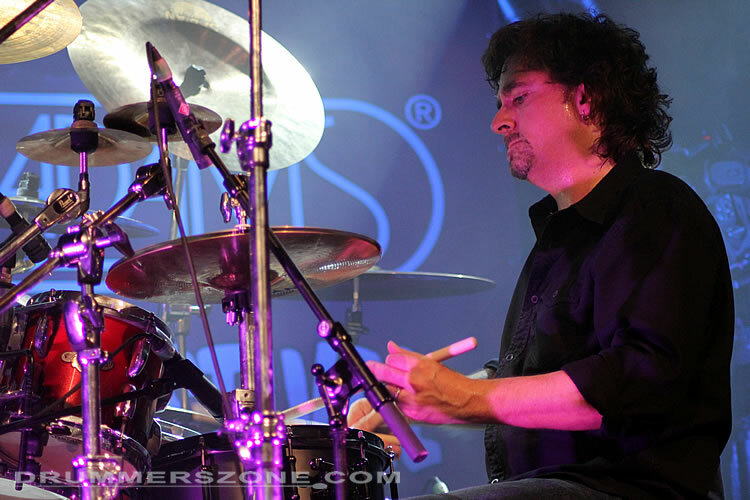 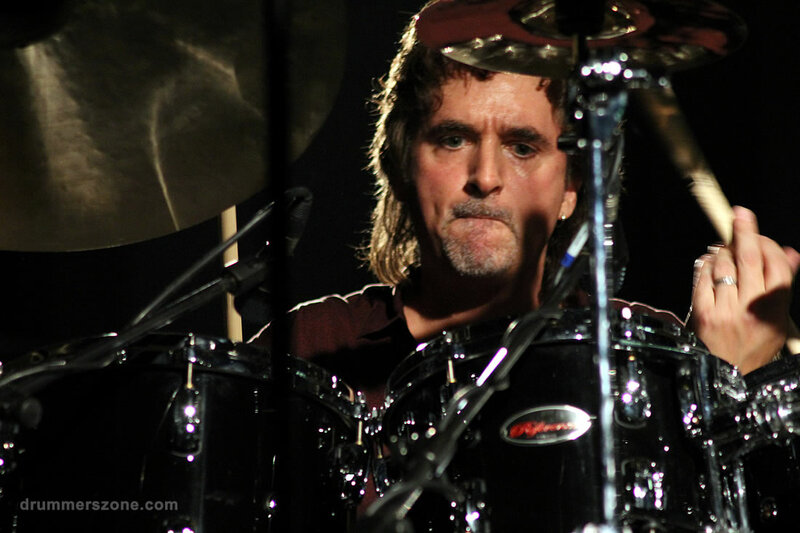 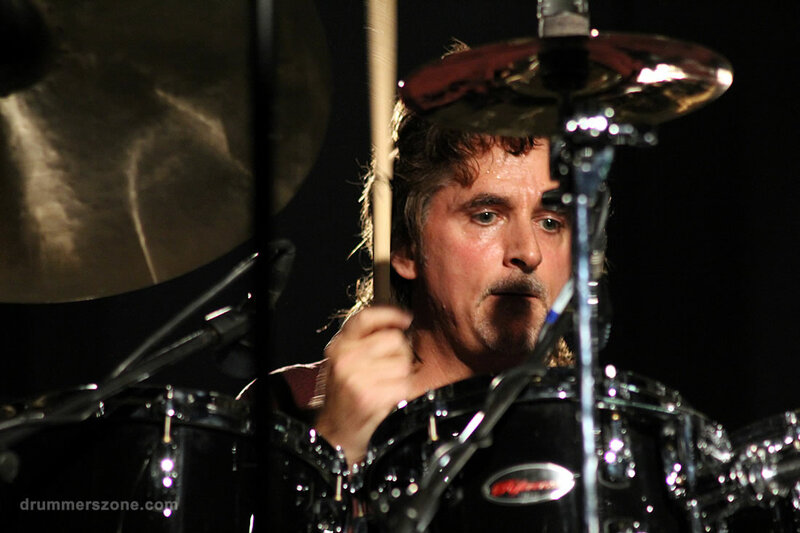 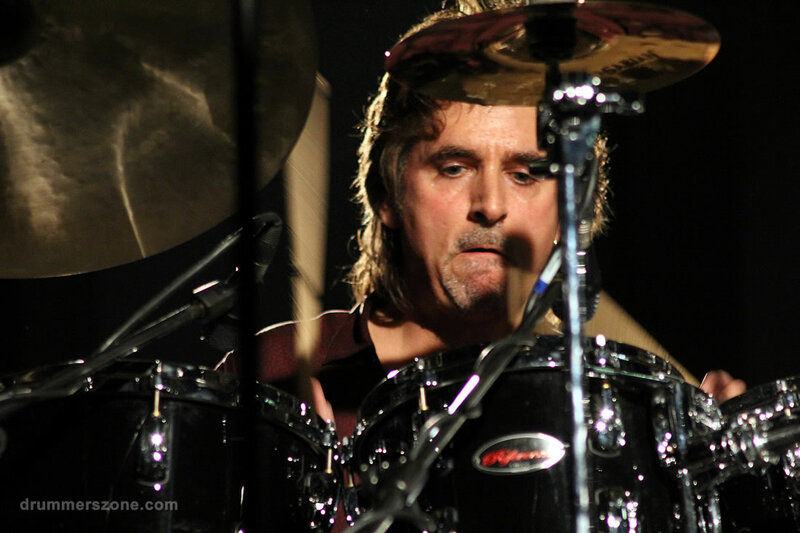 As an in demand player for live and session work, Sucherman connected with the band Styx when their drummer John Panozzo was unable to tour. 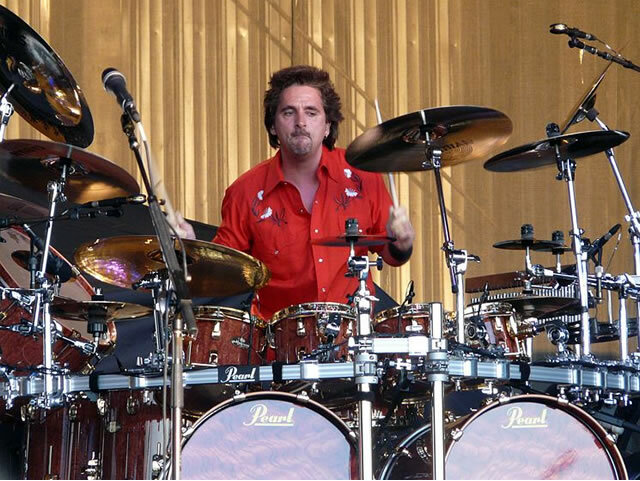 After John Panozzo's death on July 16, 1996, Sucherman became a full time member. 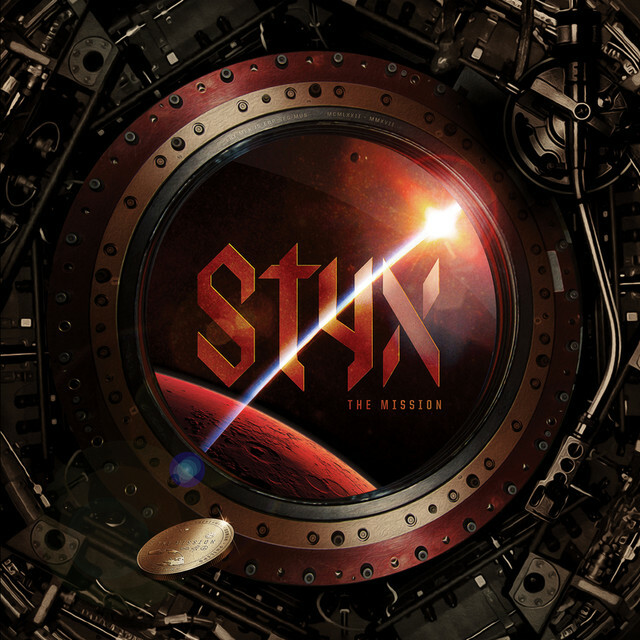 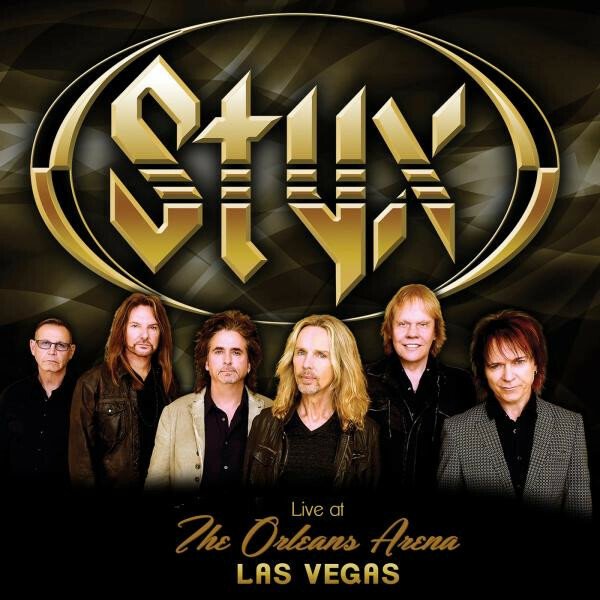 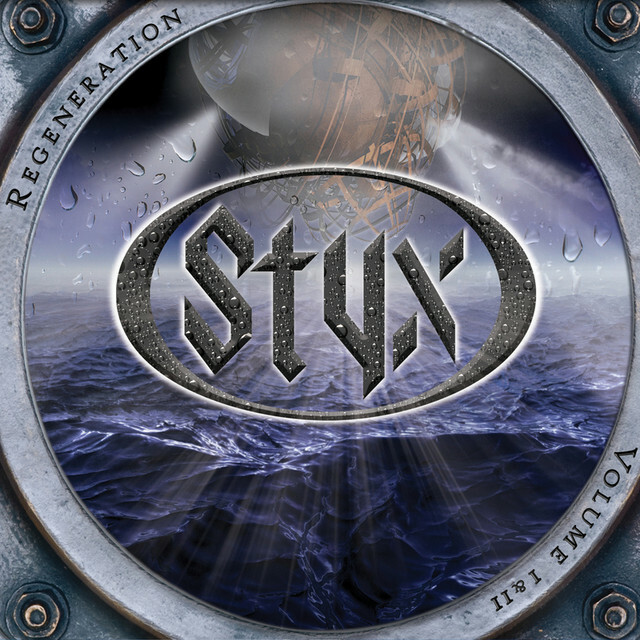 In addition to Styx duties, he has played with such artists as Brian Wilson (on his 2004 album 'Gettin� In Over My Head'), Tommy Shaw, Peter Cetera, Brian Culbertson, The Falling Wallendas and Steve Cole. 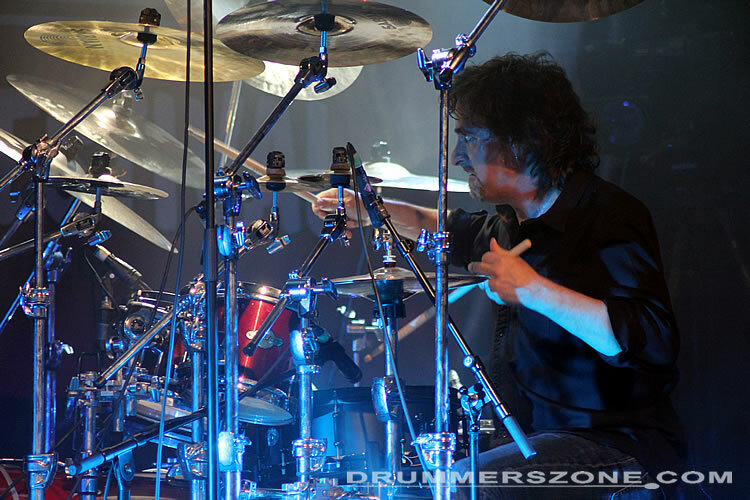 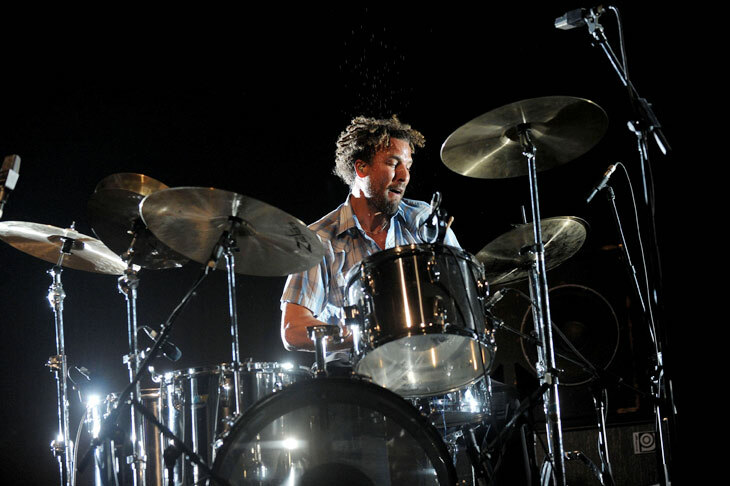 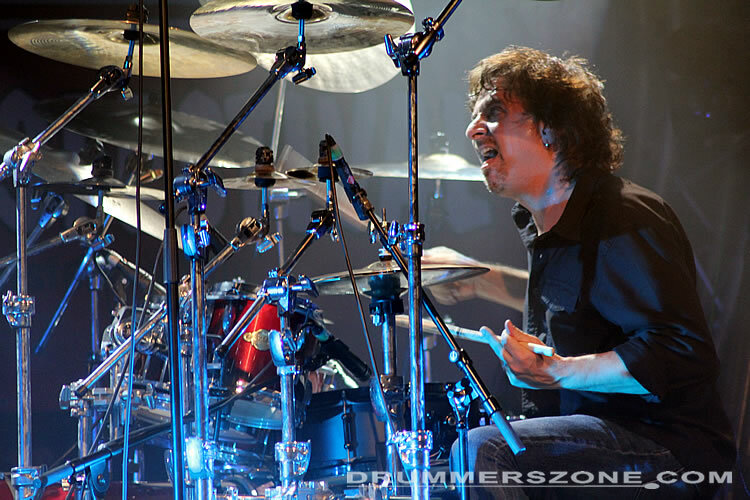 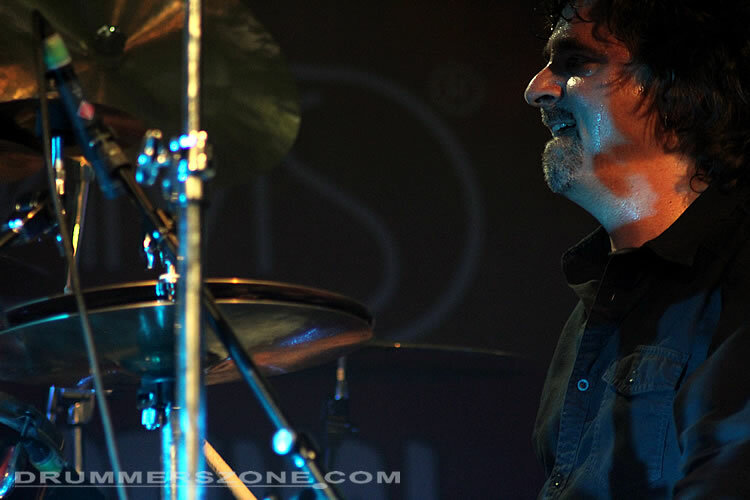 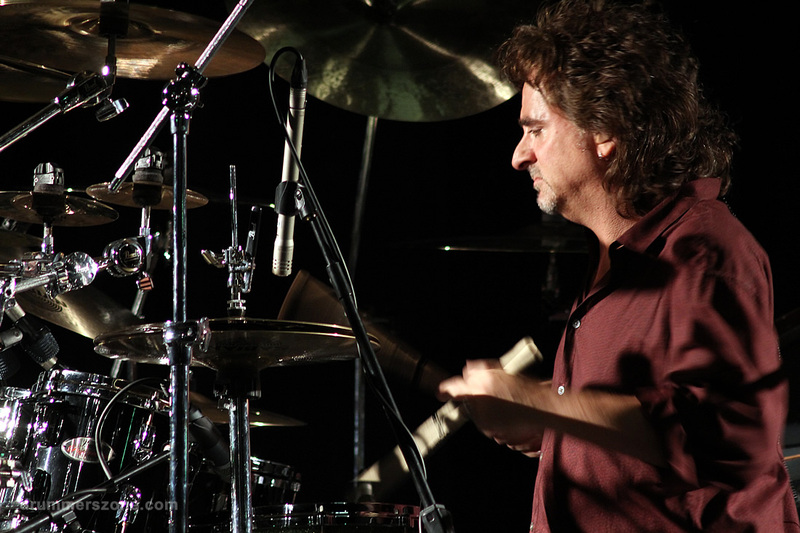 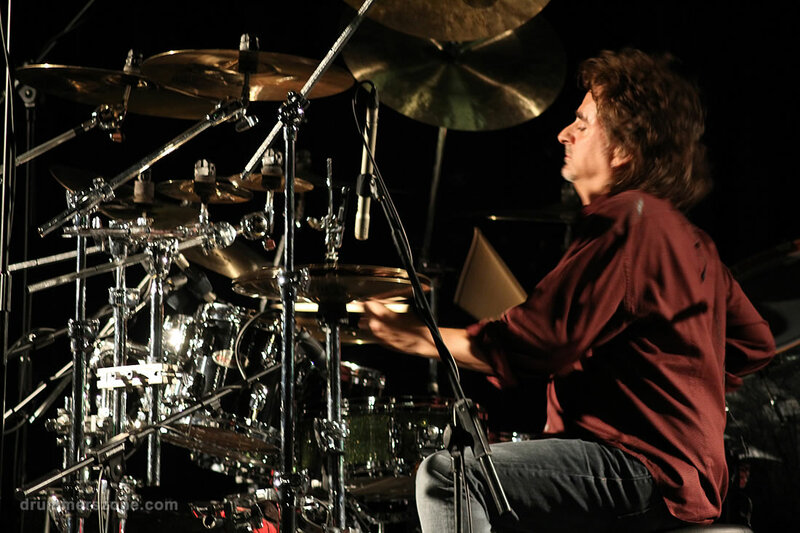 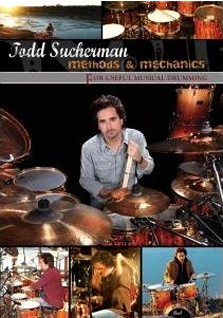 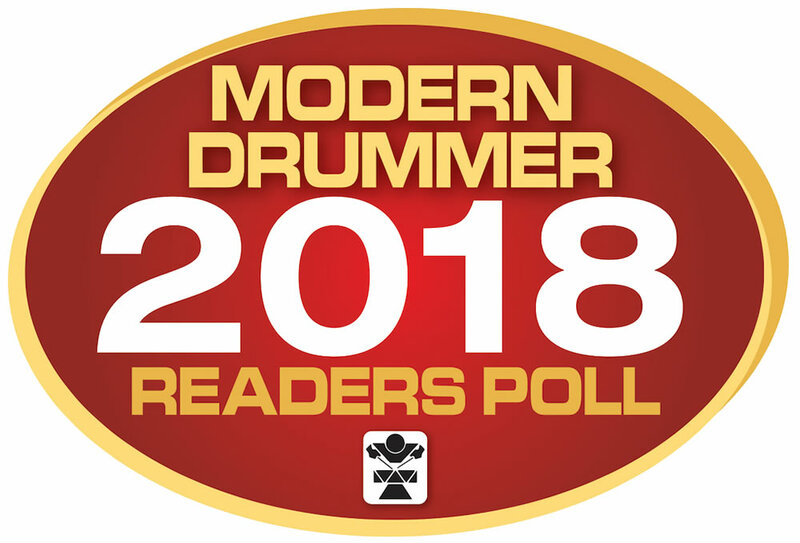 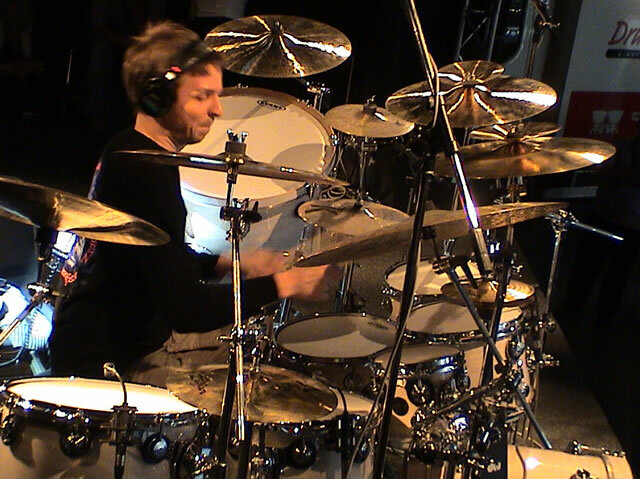 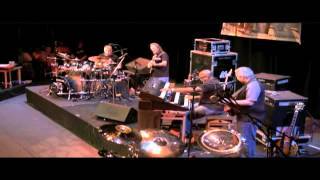 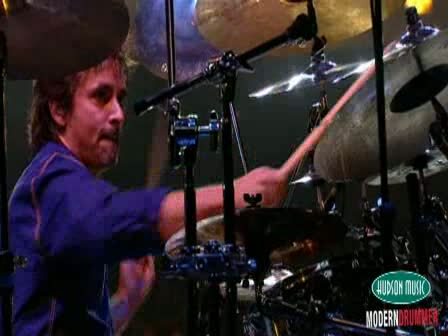 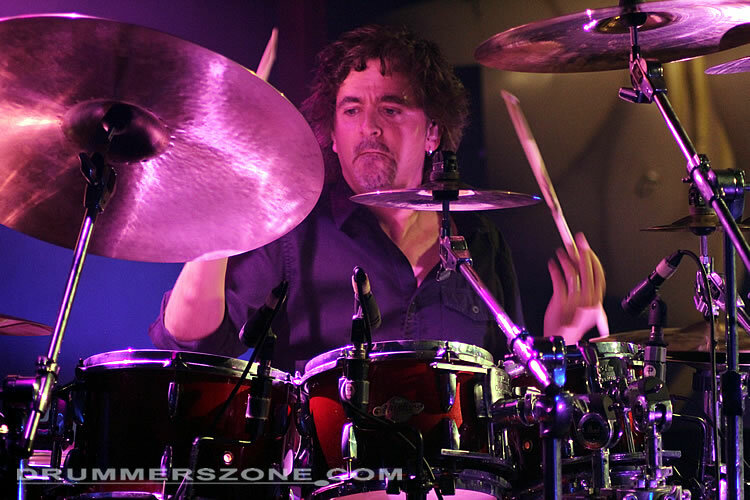 In September 2008, Todd Sucherman was a featured artist in the prestigious Modern Drummer Festival. 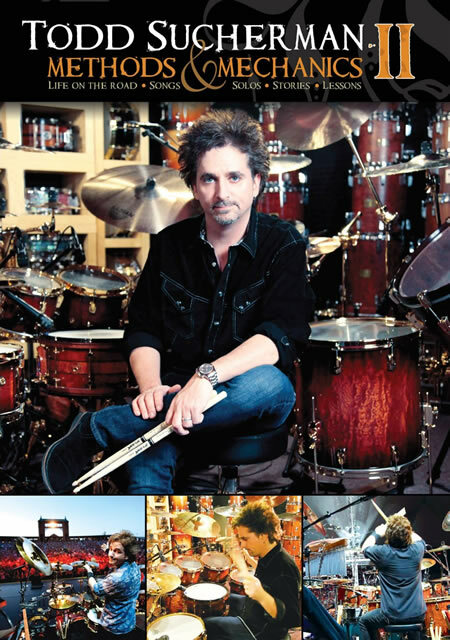 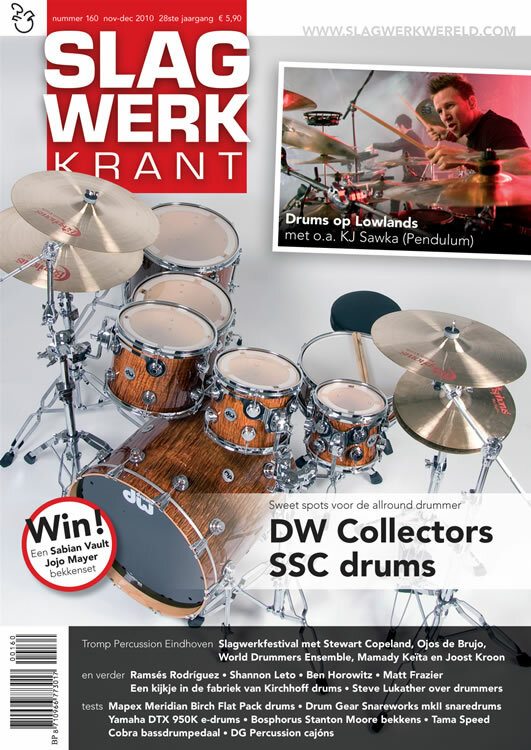 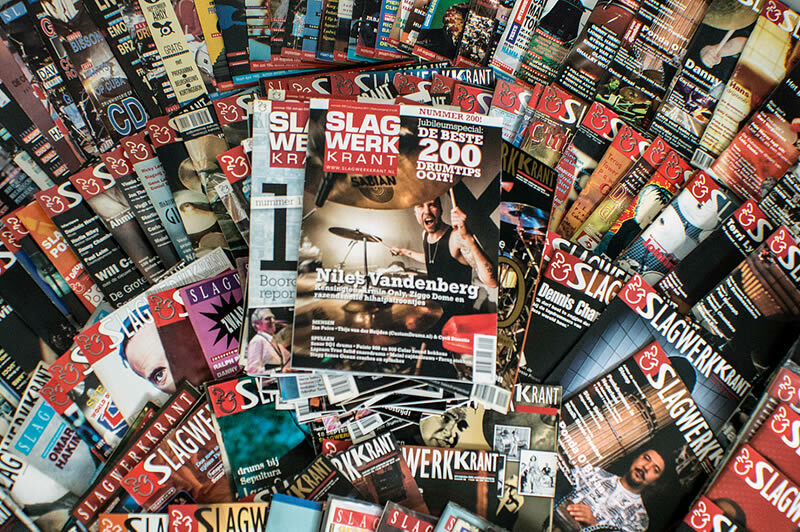 He also appeared on the cover of the October 2008 issue of Modern Drummer magazine. 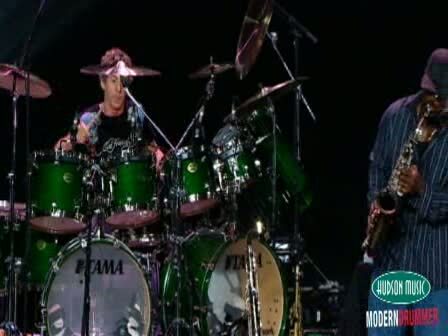 Paul was first(keyboards), then Joel (bass), then Todd (drums). 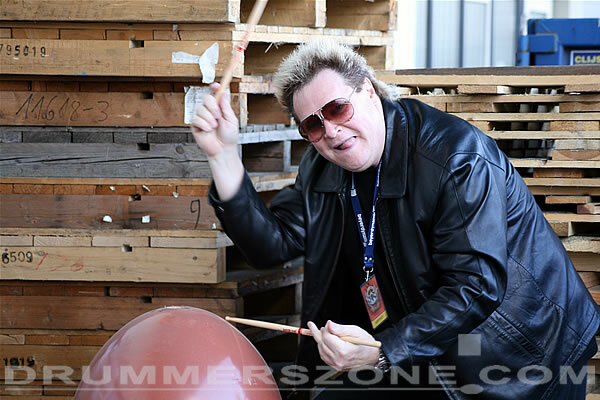 Todd was fascinated with the drums as an infant. 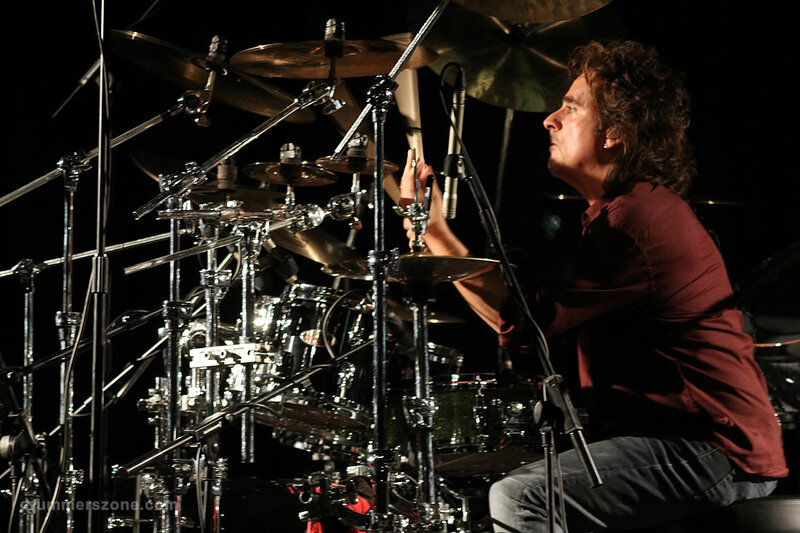 His father taught him to play and could read music by age five. 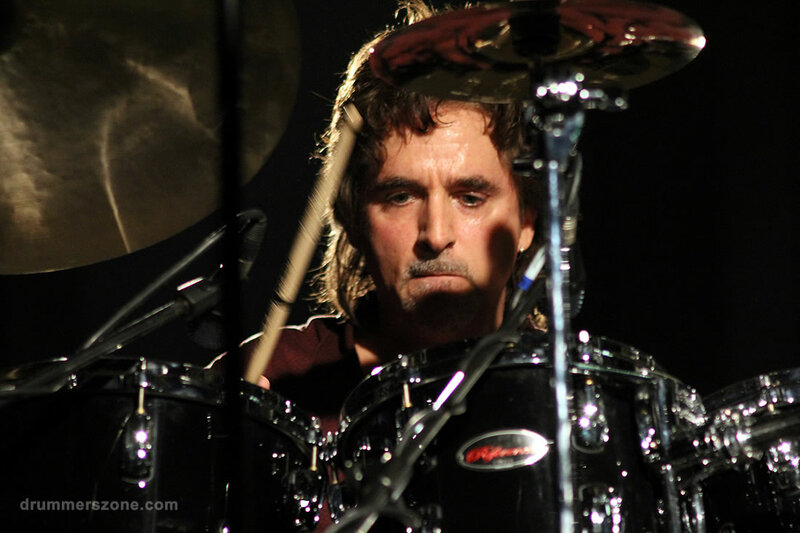 His first paying gig was with his brothers, "The Sucherman Brothers" at age six. 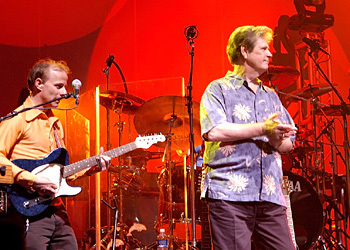 They continued to play together and with other musicians for years. 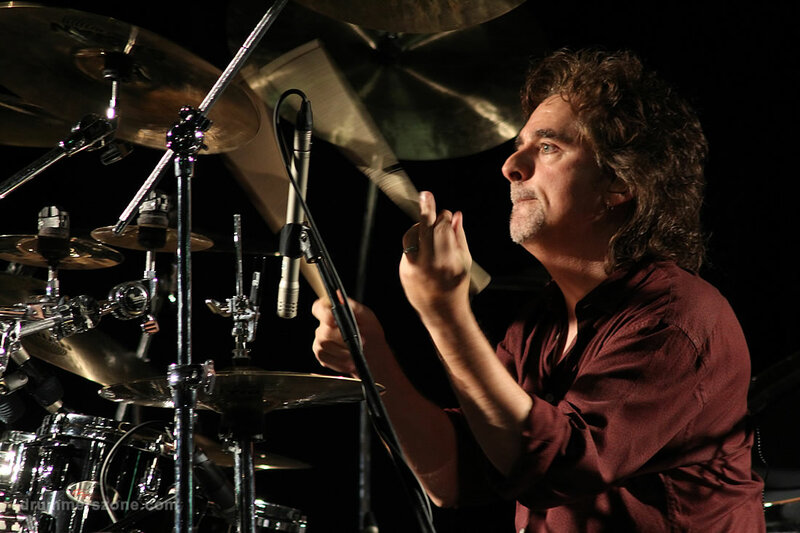 In 1988, Todd returned to Chicago and quickly established himself as a first call musician in the recording scene. 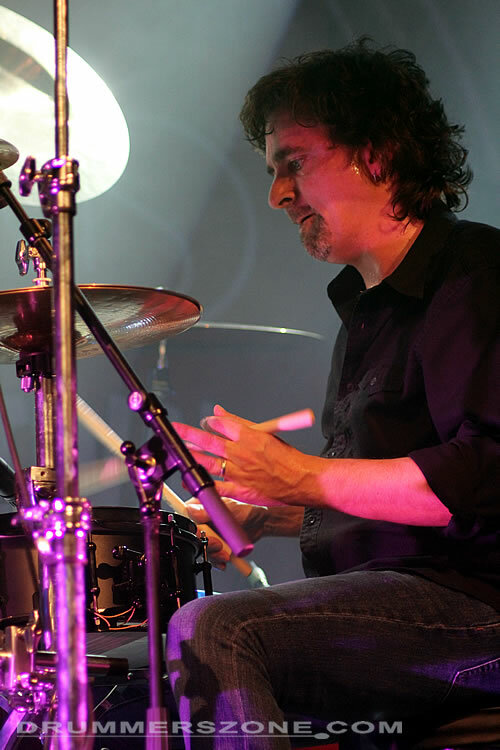 As an in demand player for live and session work, this led to his association with the band Styx. 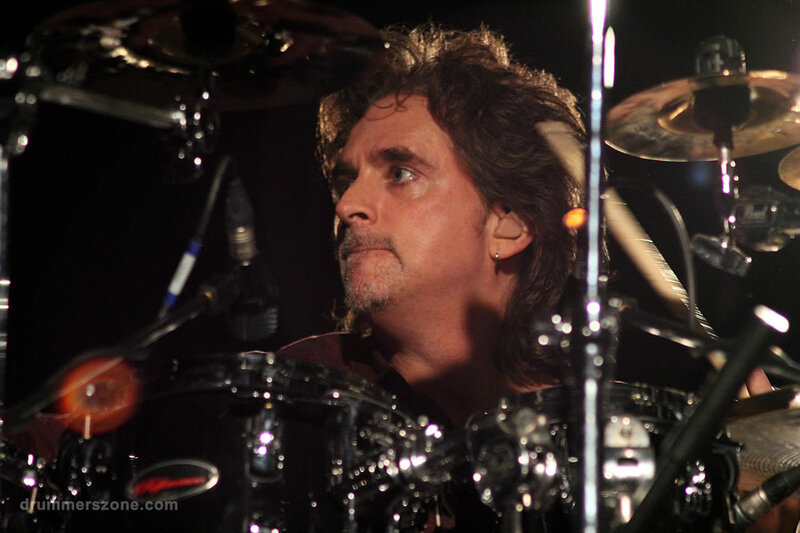 Todd was called in to record when Styx's John Panozzo was ill. After John Panozzo's untimely death, Todd's position in the band was solidified. 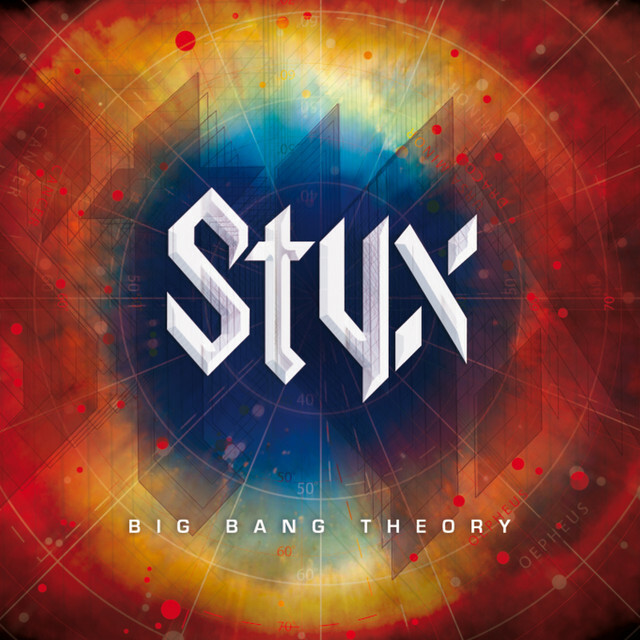 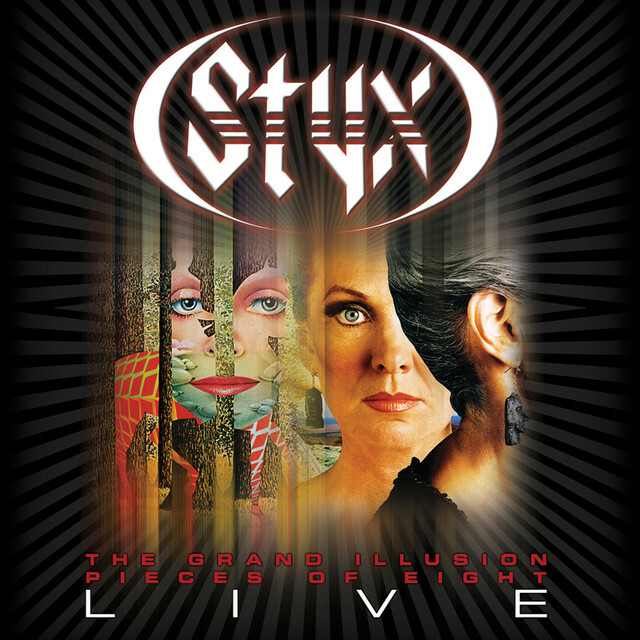 Twelve years later Styx continues to play to millions of fans all over the world averaging 100 dates a year. 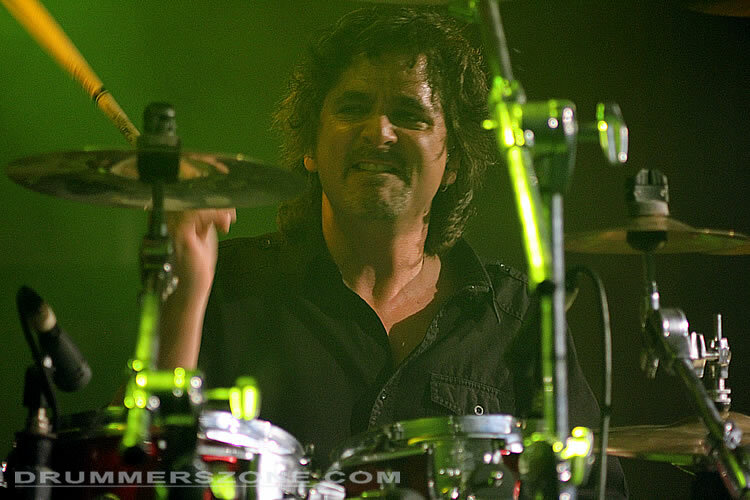 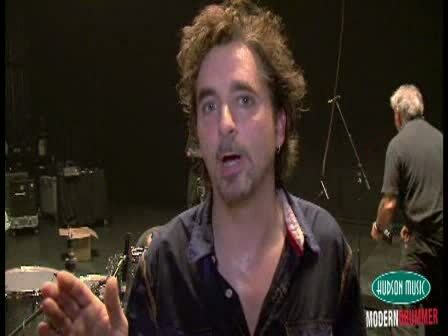 Todd has recorded several albums with the band including "Big Bang Theory" which put the band in the top 50 on Billboard for the fourth straight decade. 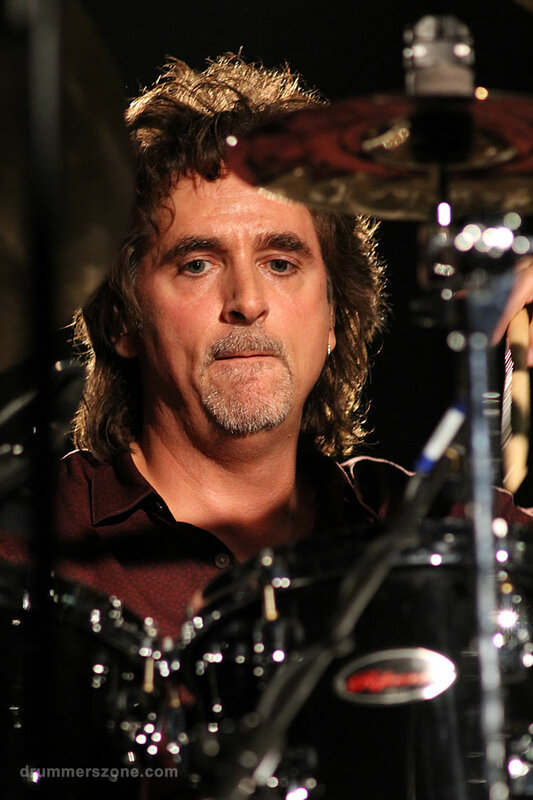 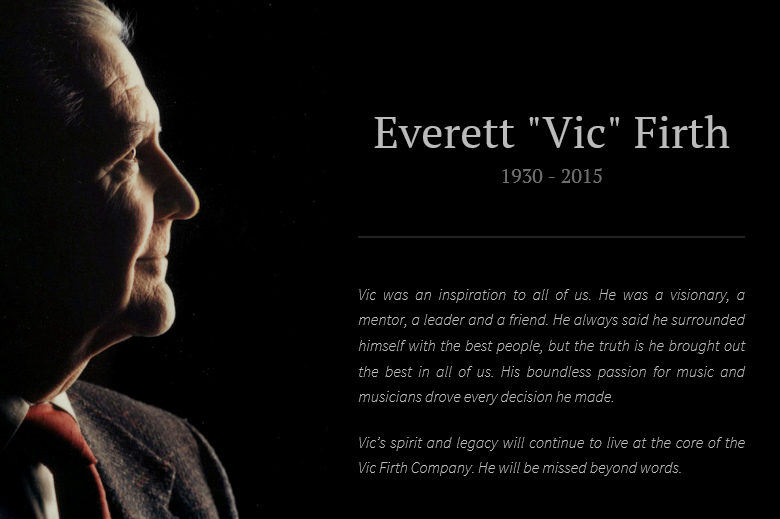 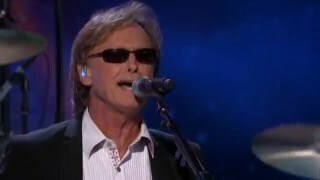 In-between his time with Styx he's recorded over 1000 radio and TV spots and worked with artists diverse as Peter Cetera, Brian Culbertson, Spinal Tap, Michael Bolton, The Falling Wallendas, Eric Marienthal, and Brian Wilson (including his 2003 release with Paul McCartney, Eric Clapton and Elton John. 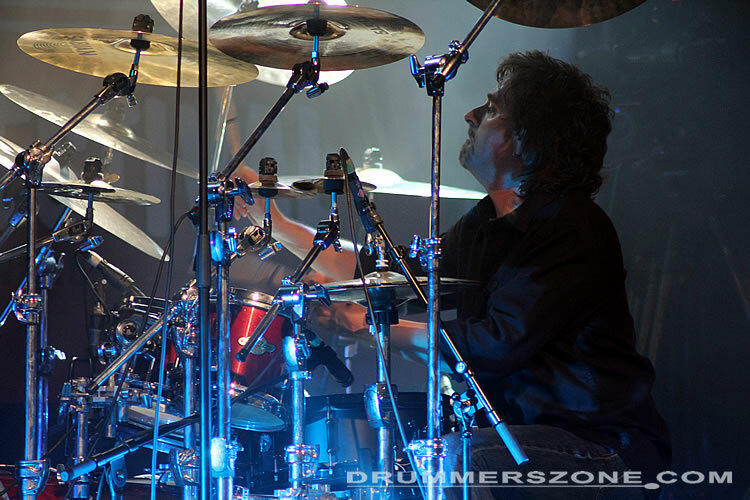 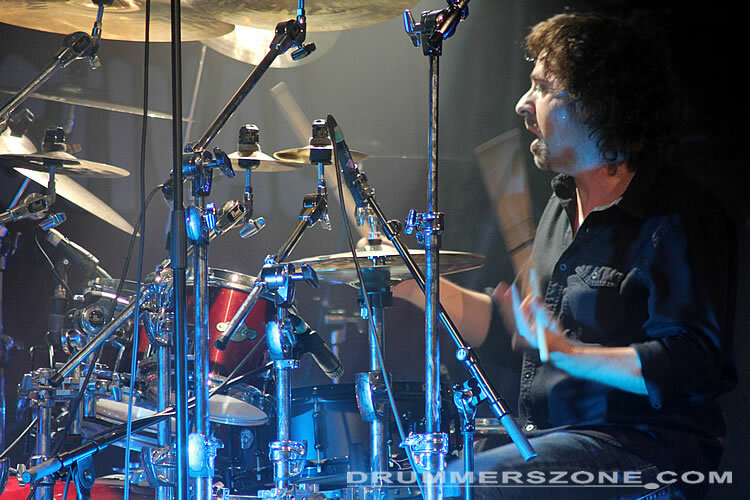 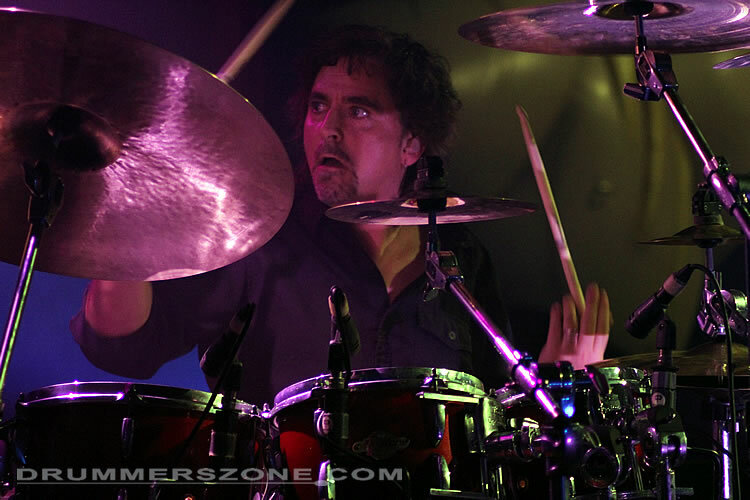 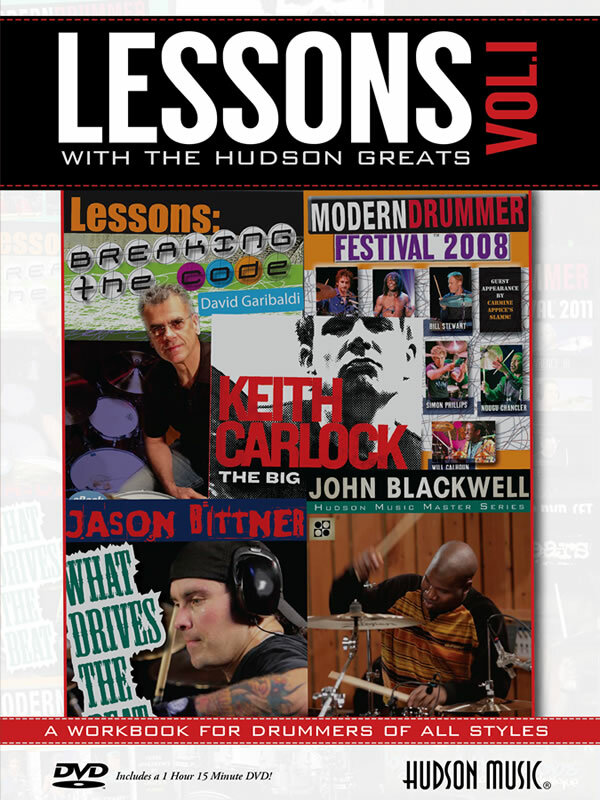 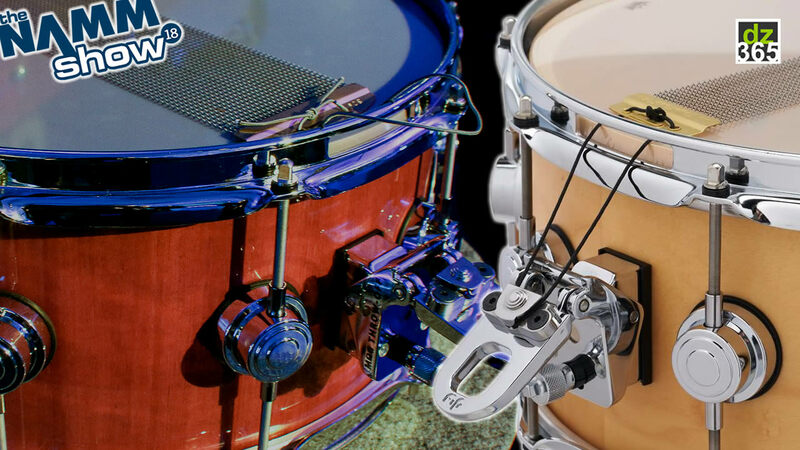 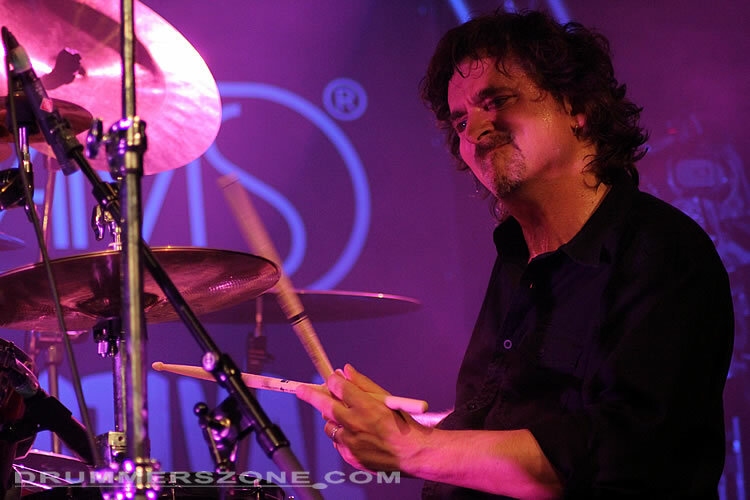 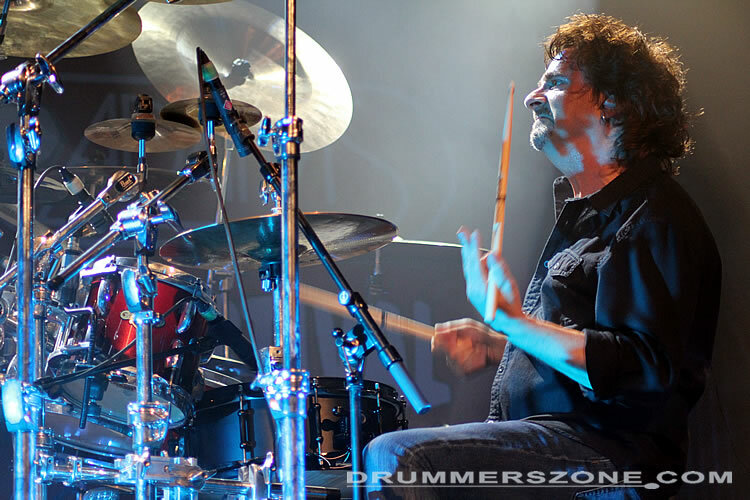 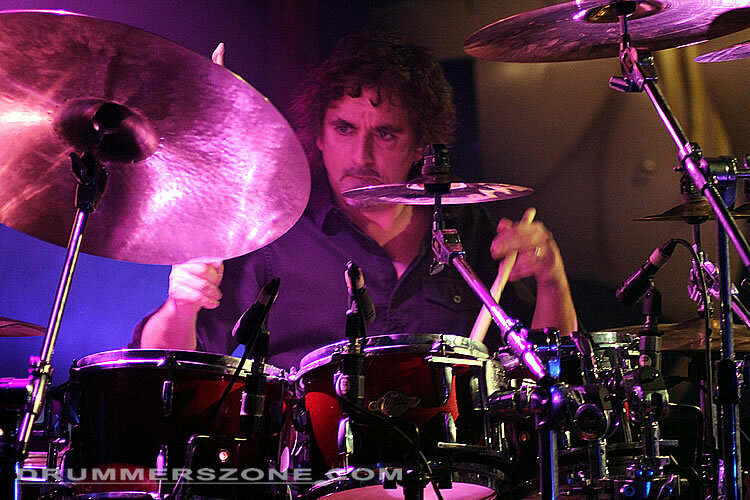 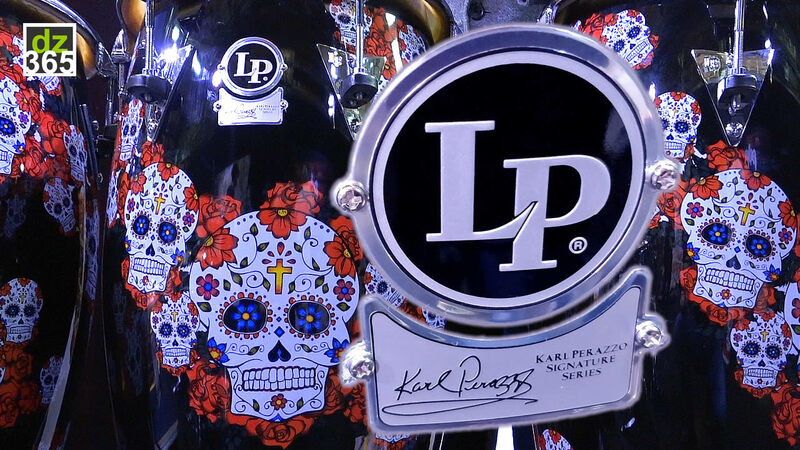 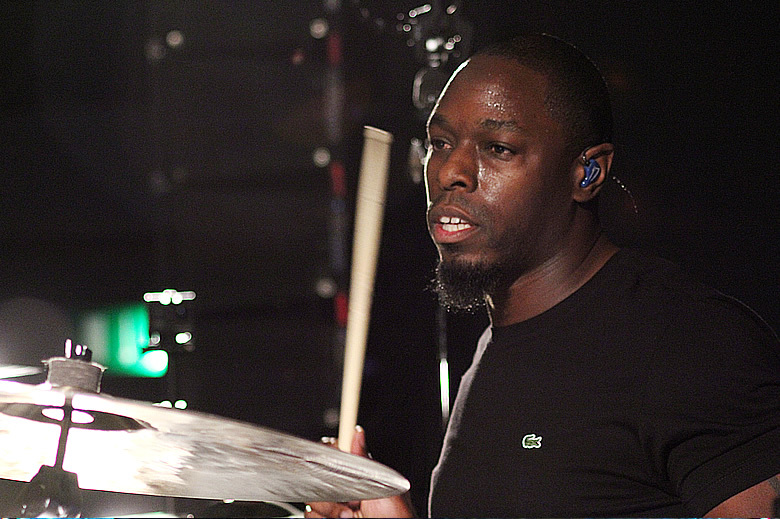 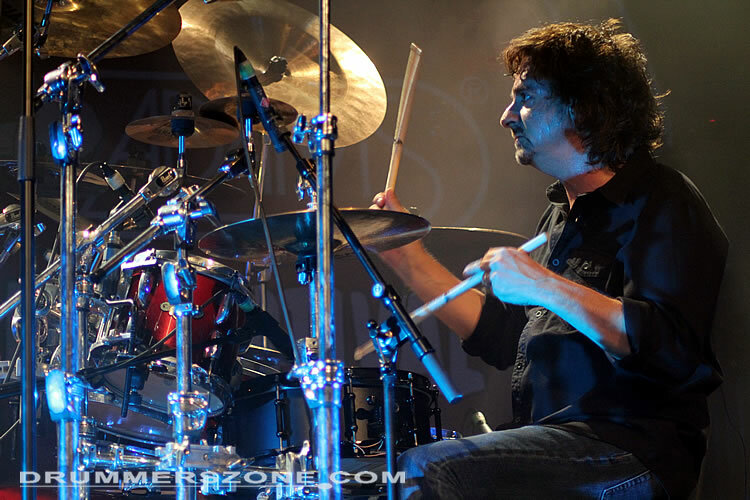 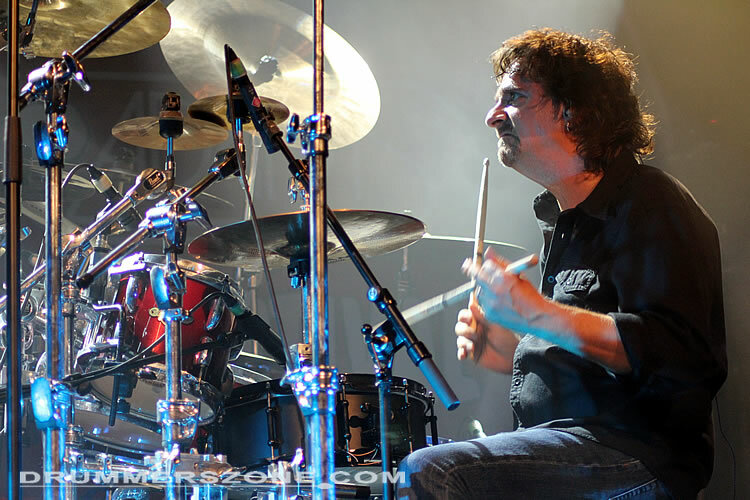 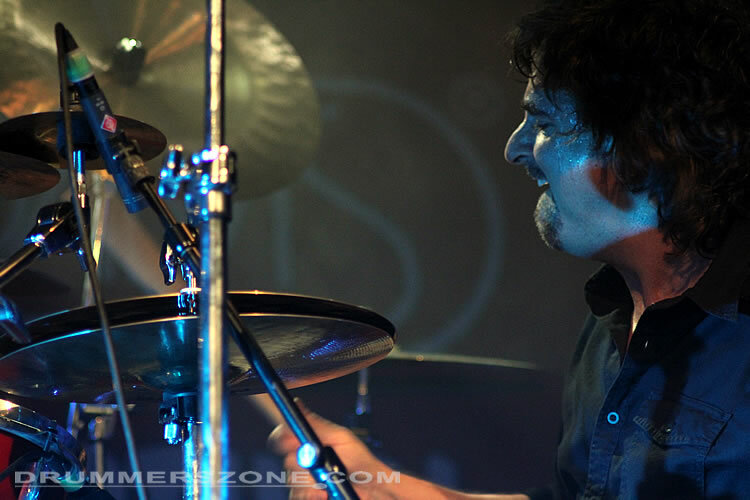 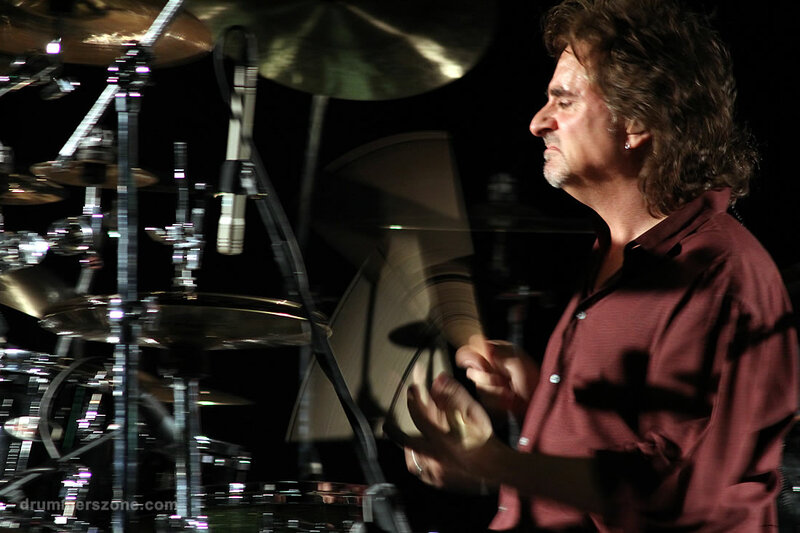 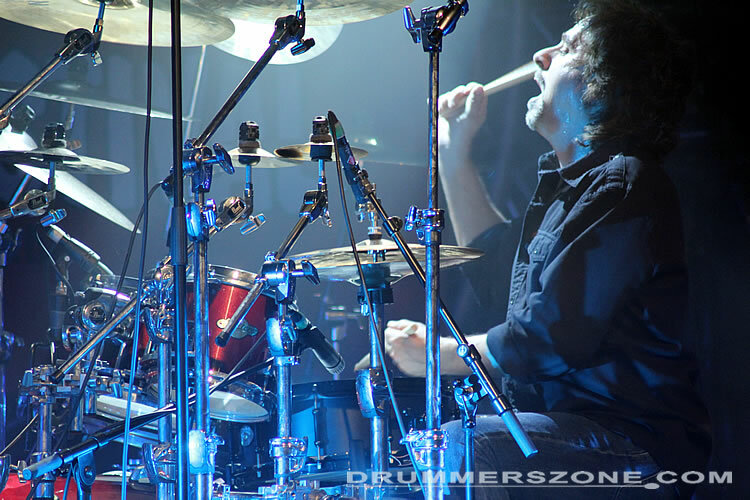 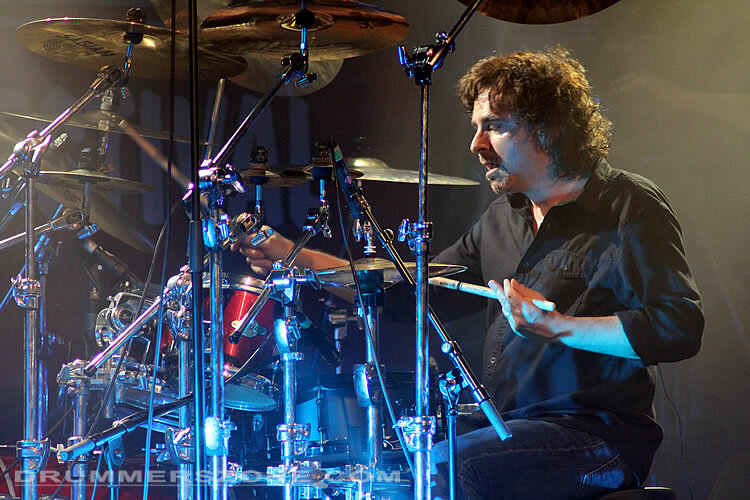 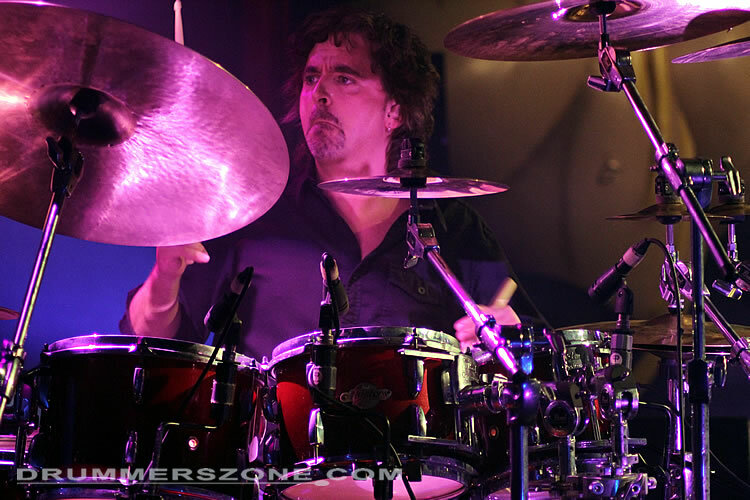 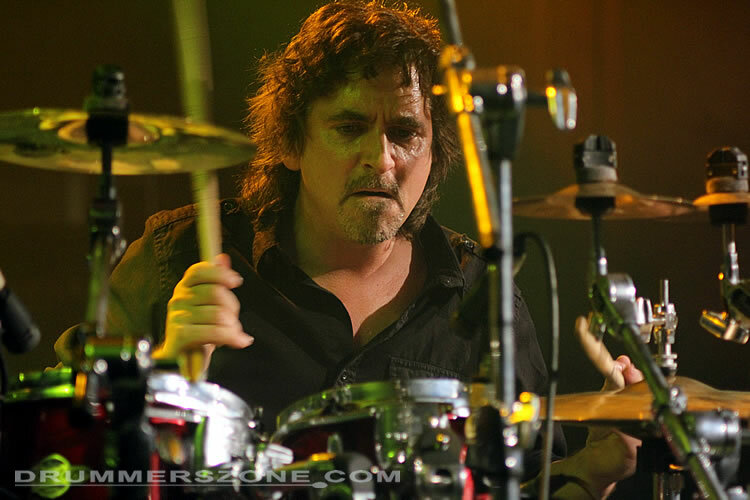 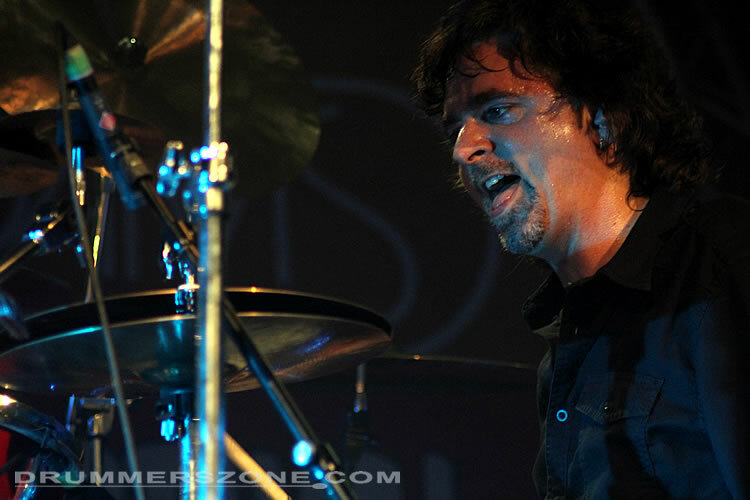 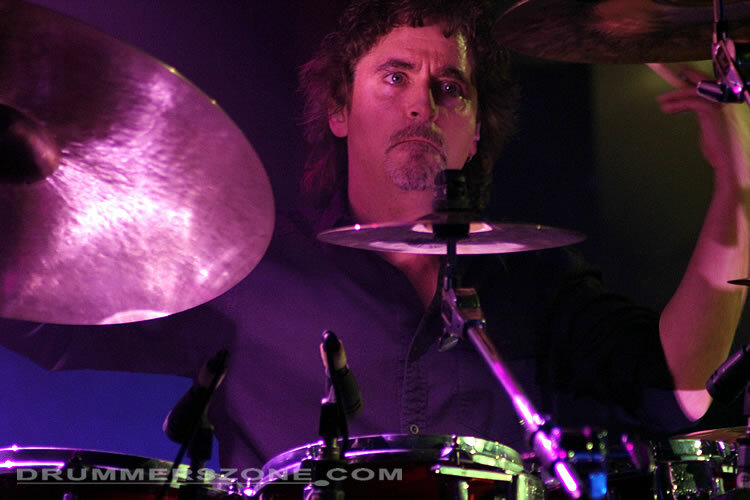 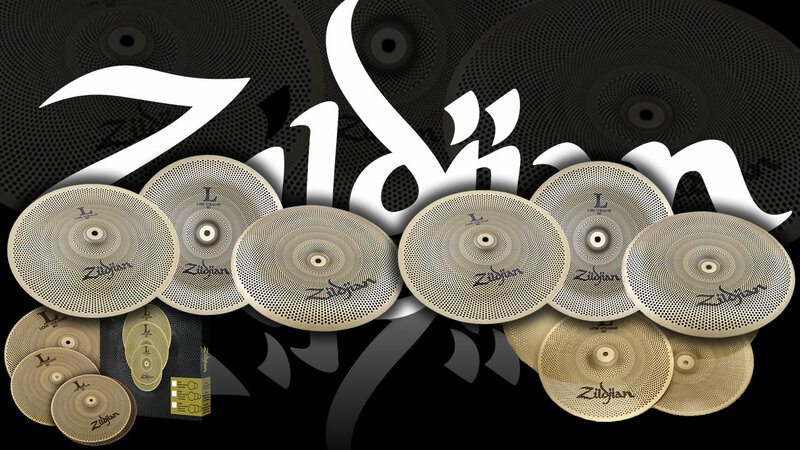 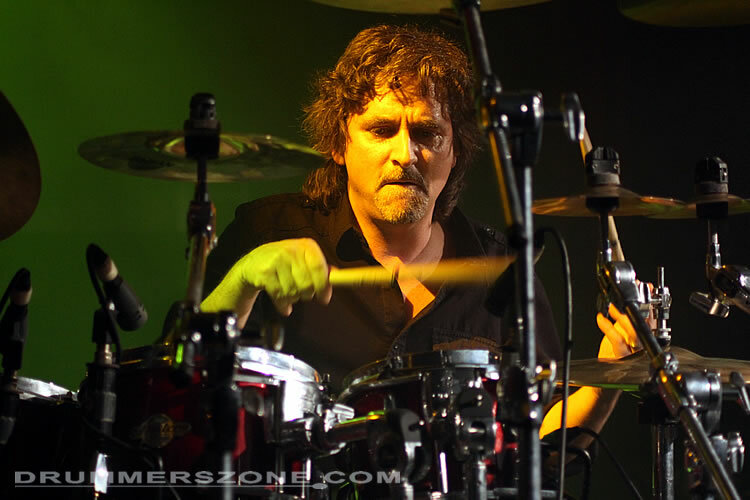 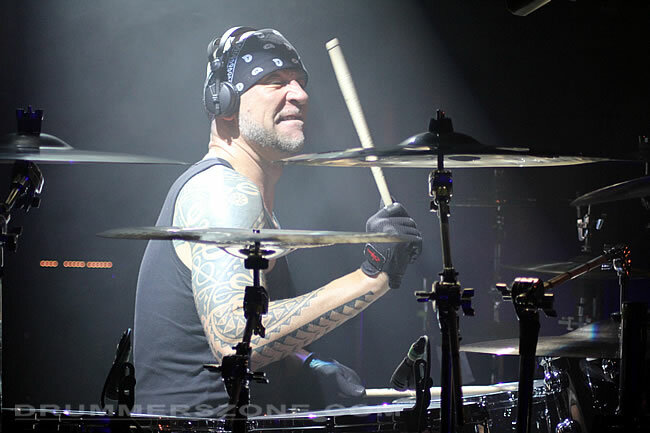 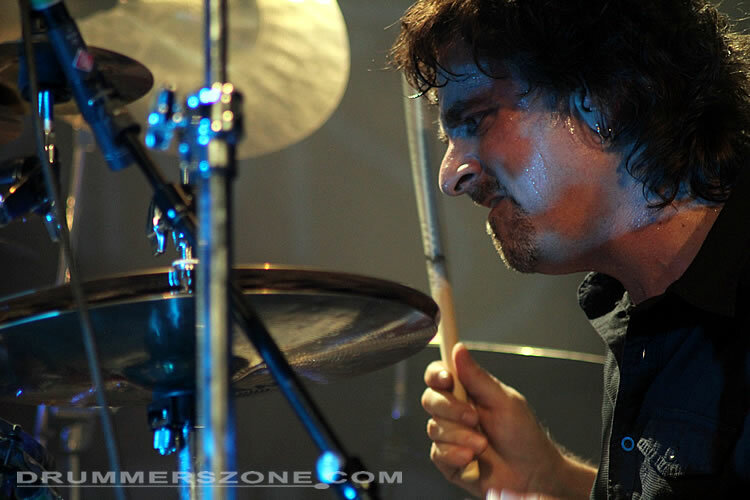 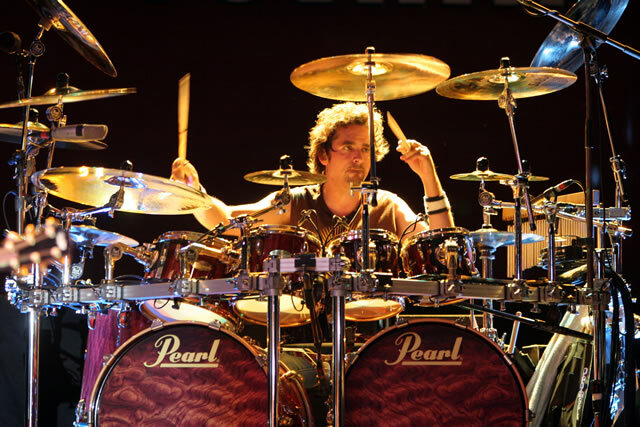 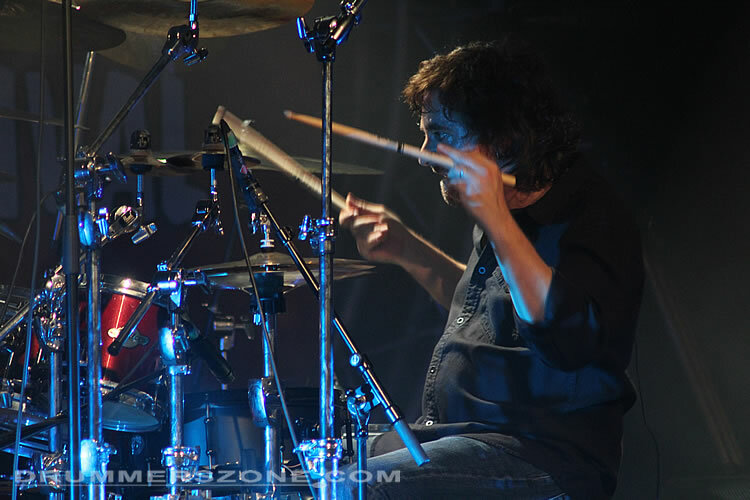 Todd has been an in demand clinician performing at drum festivals around the world. 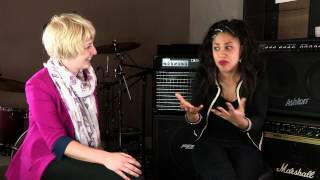 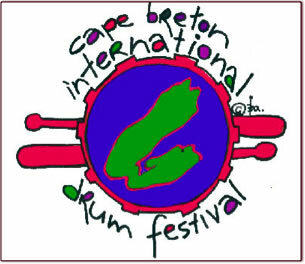 Various drum clinics and festivals including Cape Breton Drum Fest, Montreal Drum Fest, PASIC '06, and the Modern Drummer Festival 2008. 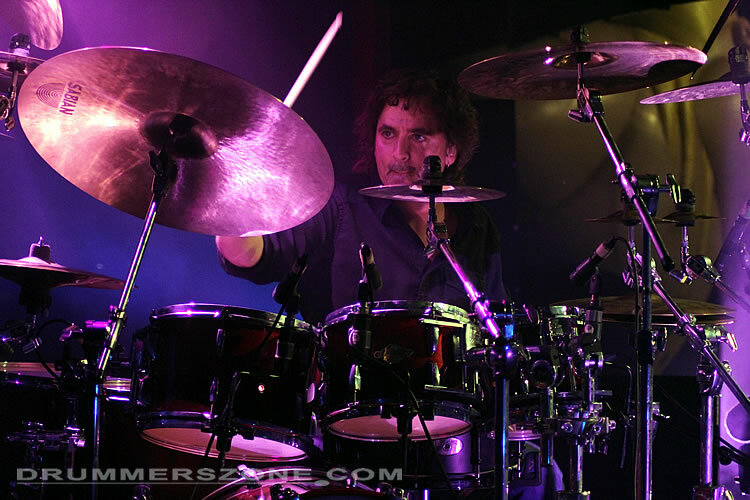 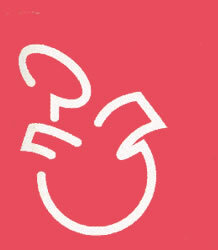 Join me at my official page!